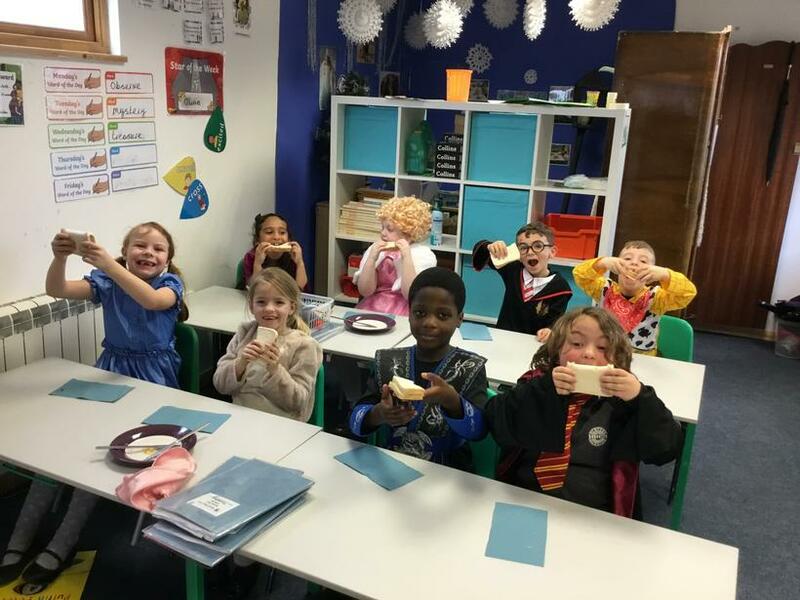 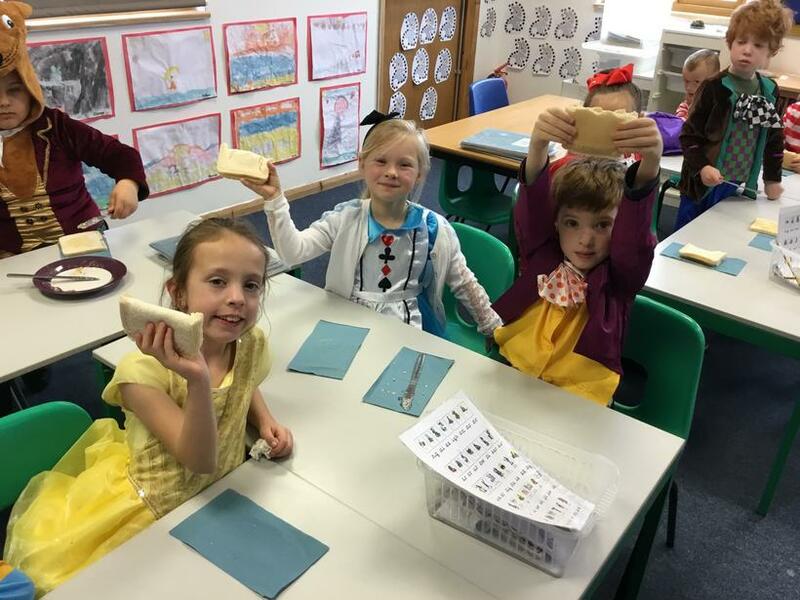 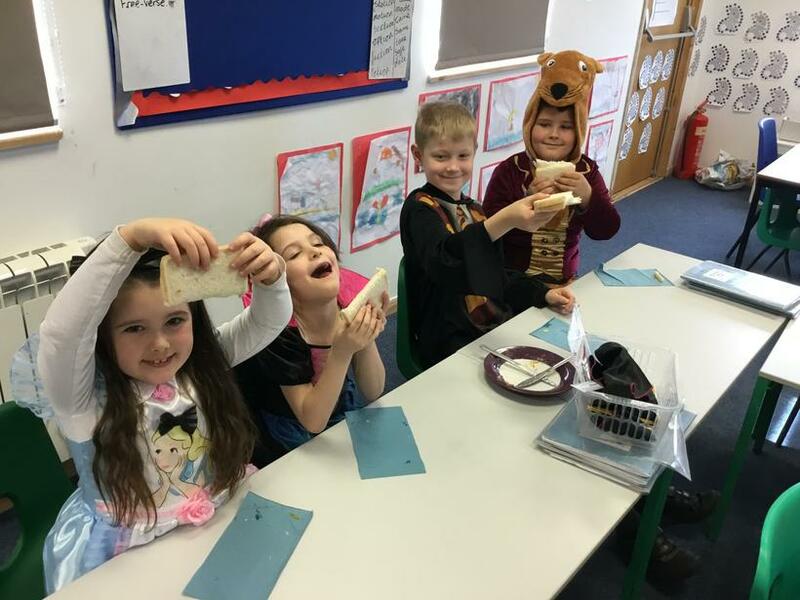 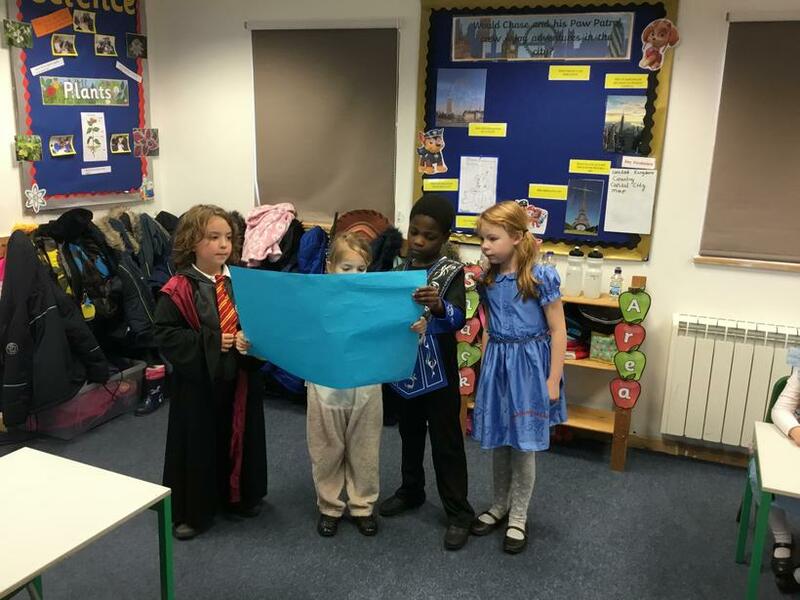 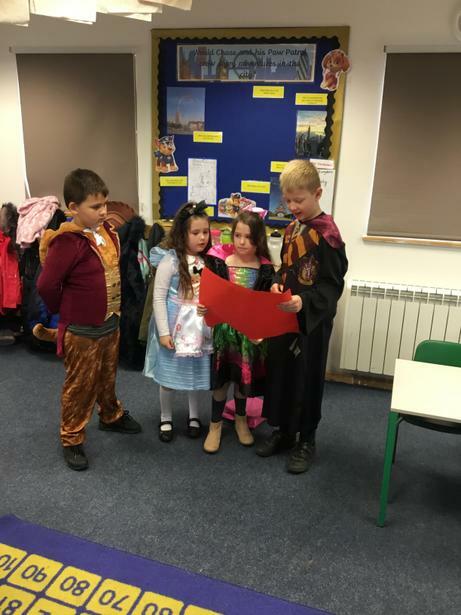 Welcome to Rabbit Class - Year 2! 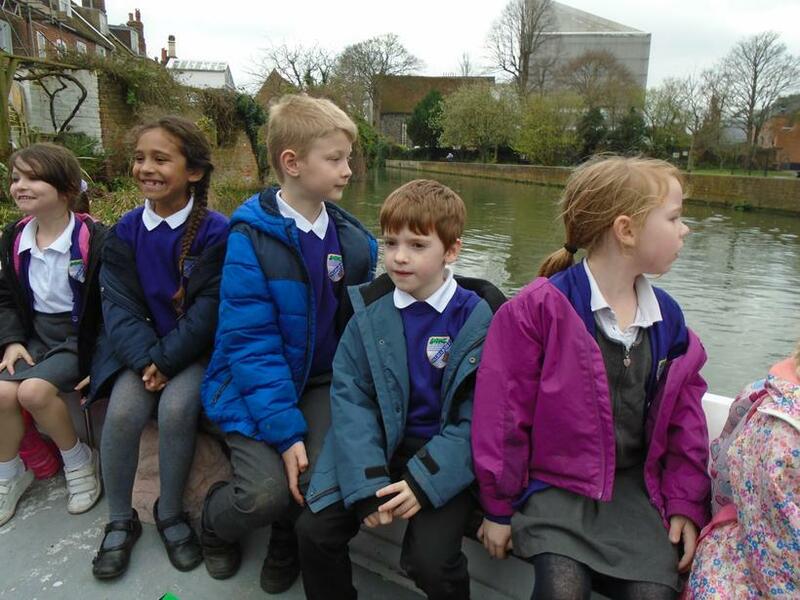 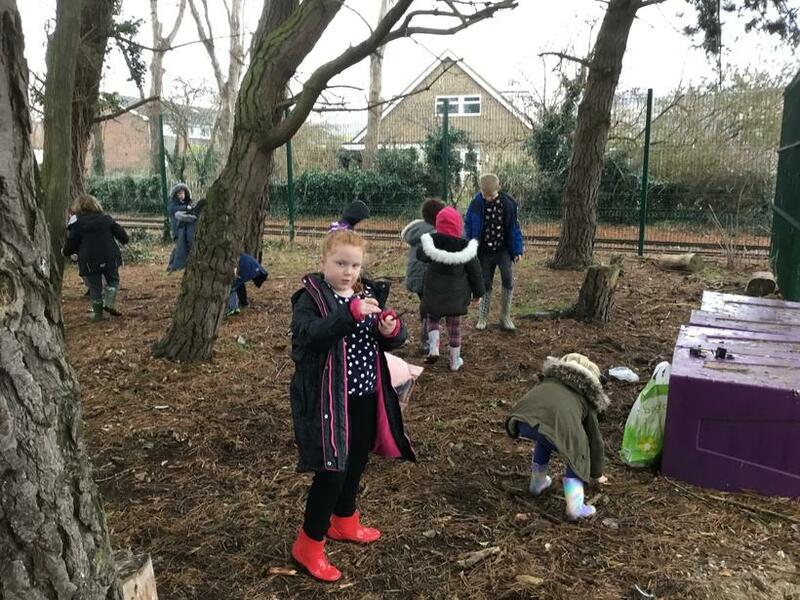 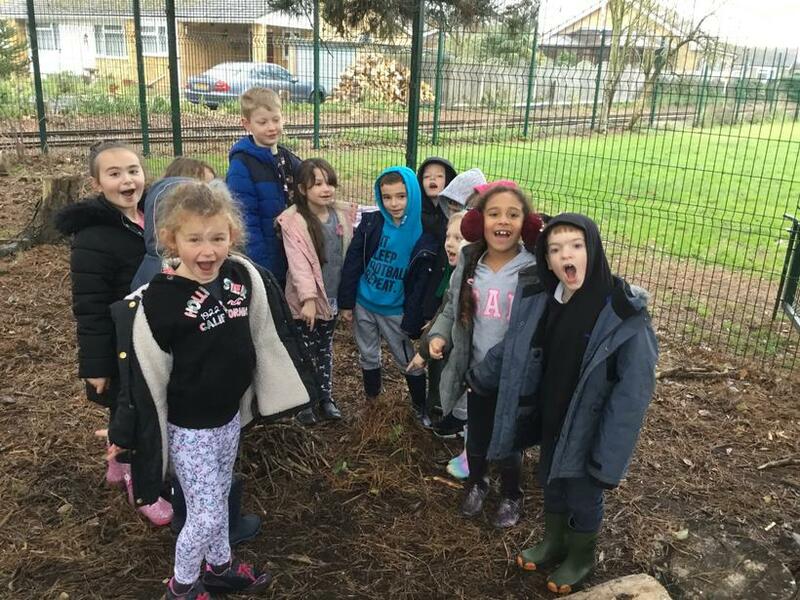 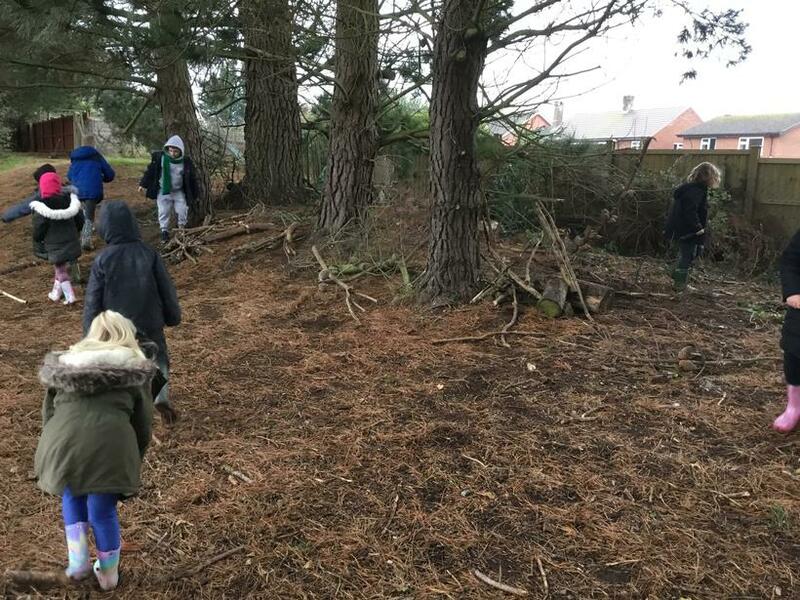 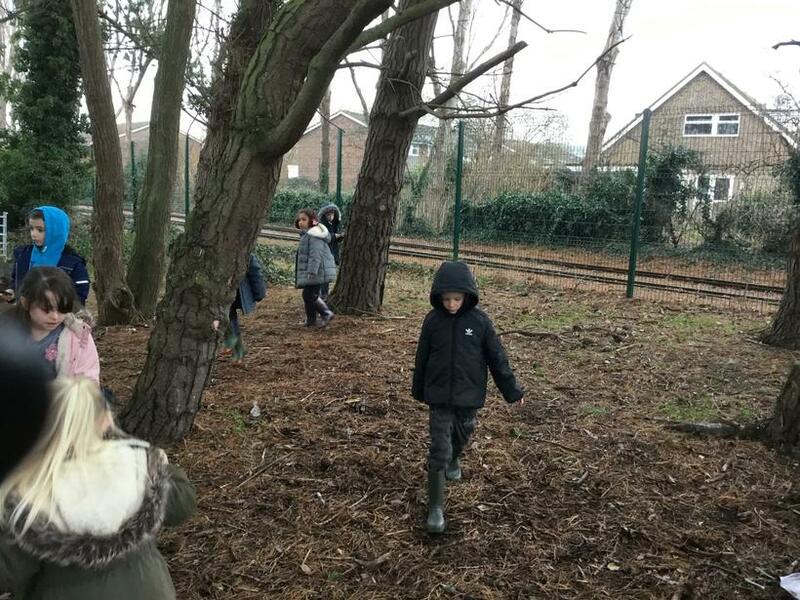 Year 2 Forest School dates term 5 - Thursday 25th April, Thursday 9th May and Thursday 23rd May. 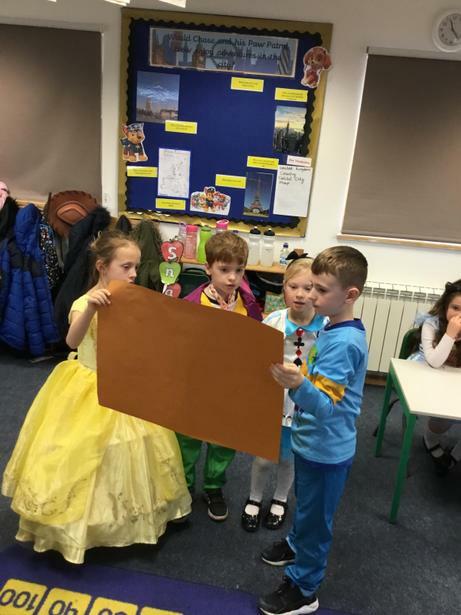 Term 5 - Would I like to live in a Castle? 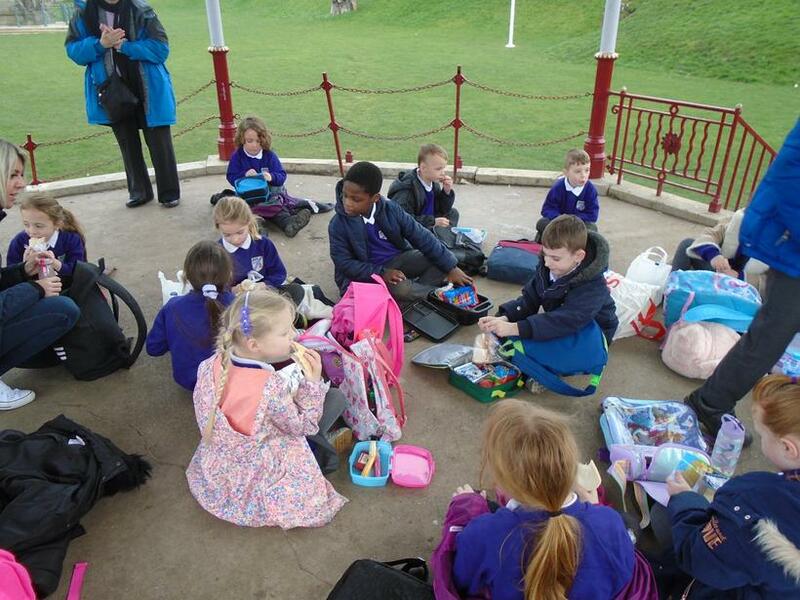 Welcome back to term 5. 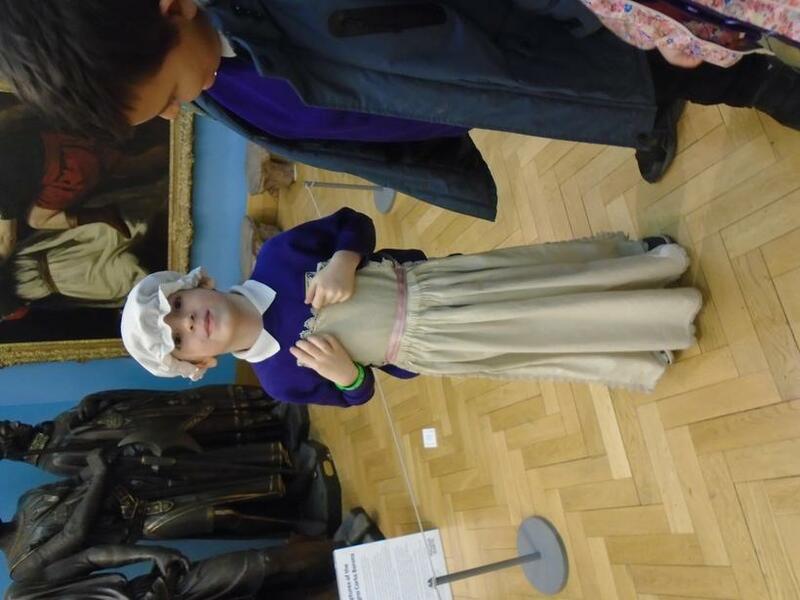 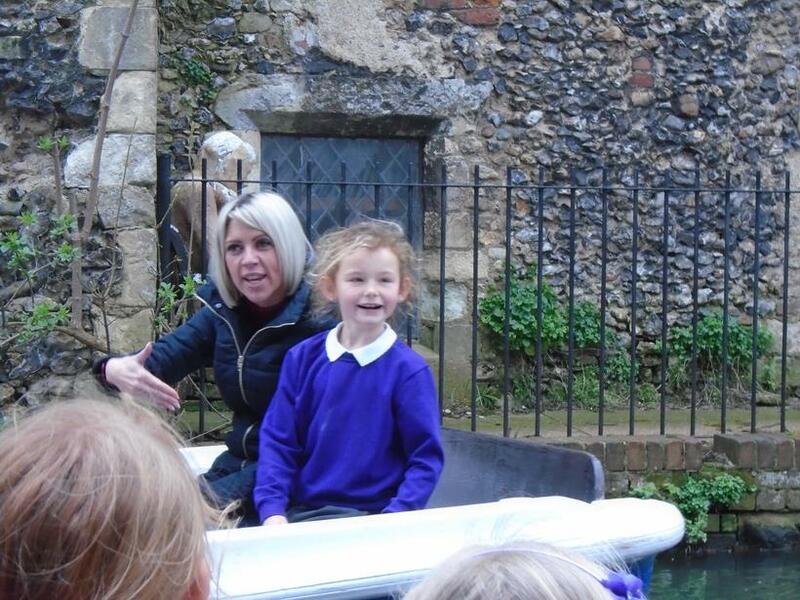 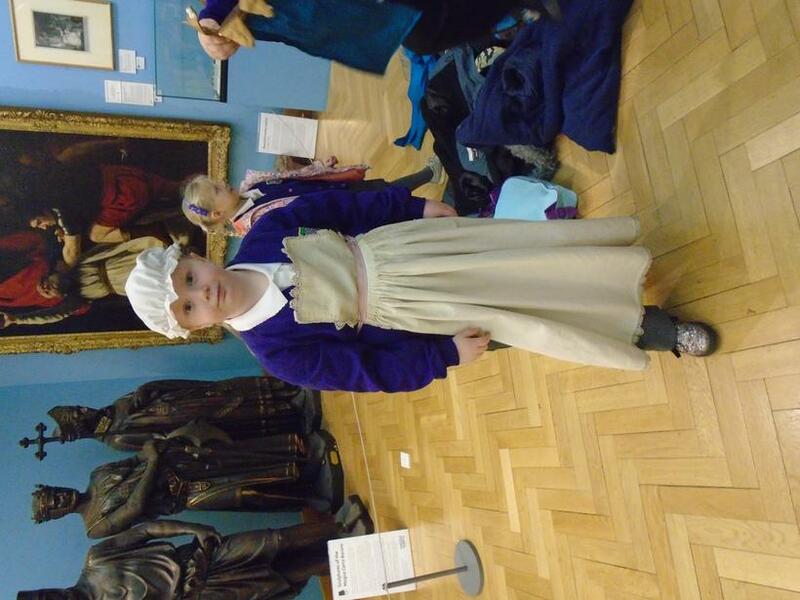 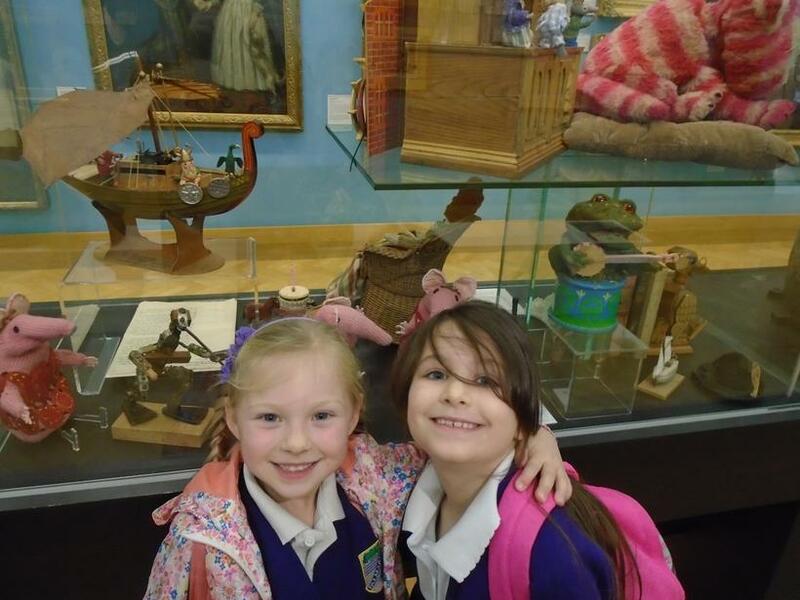 We have a busy term to look forward to including Palmarsh has talent and an upcoming trip to Dover Castle. 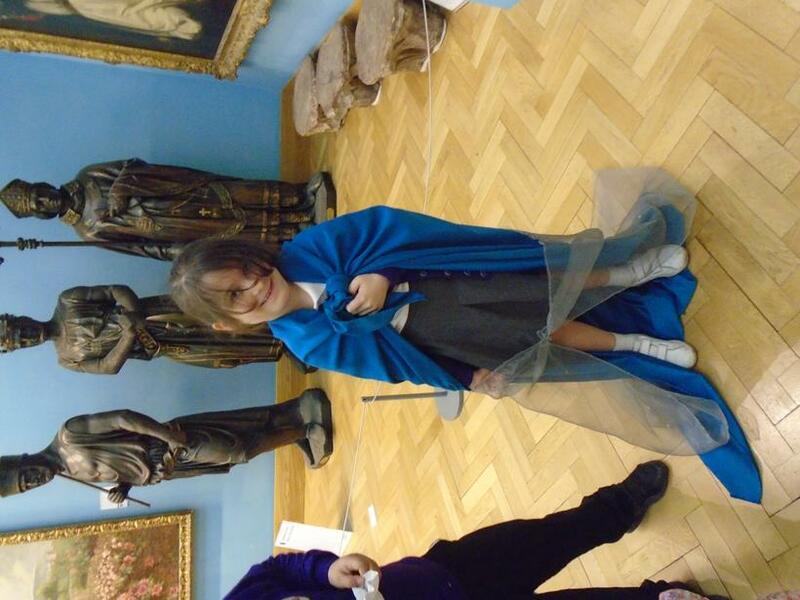 This term we will be looking at Castles. 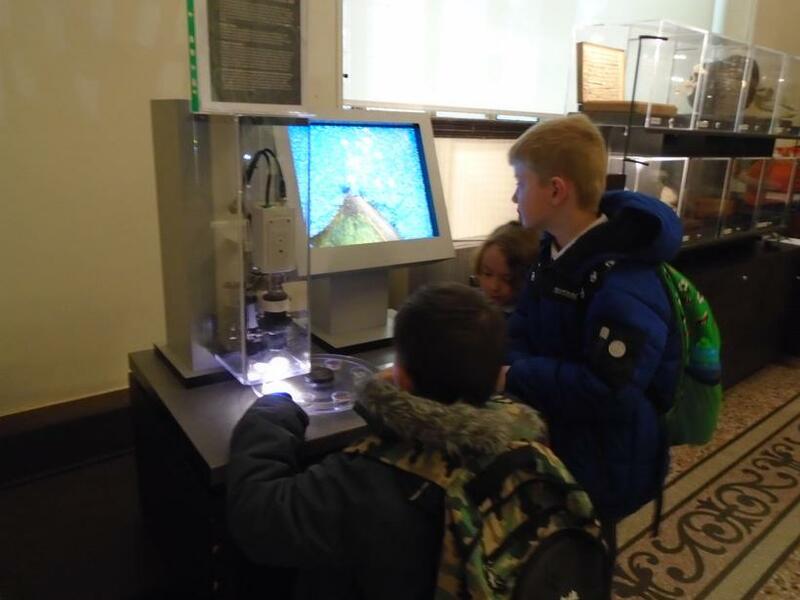 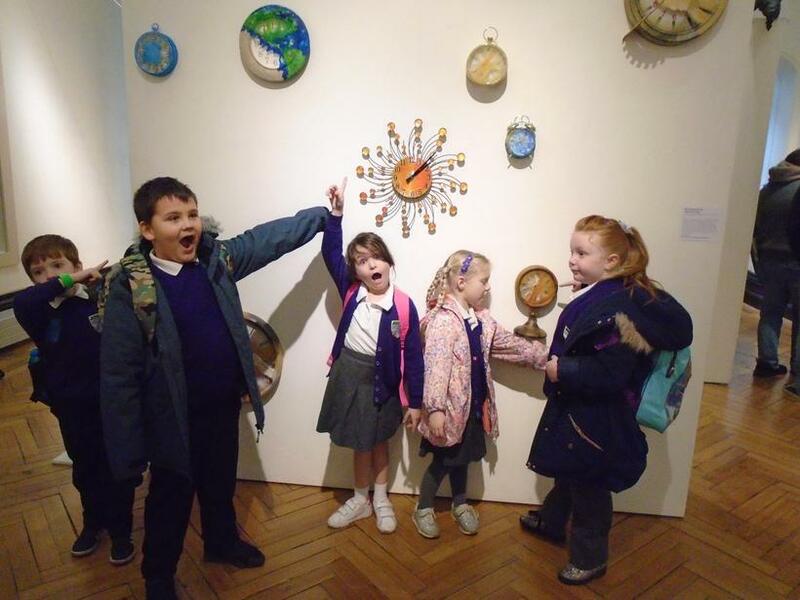 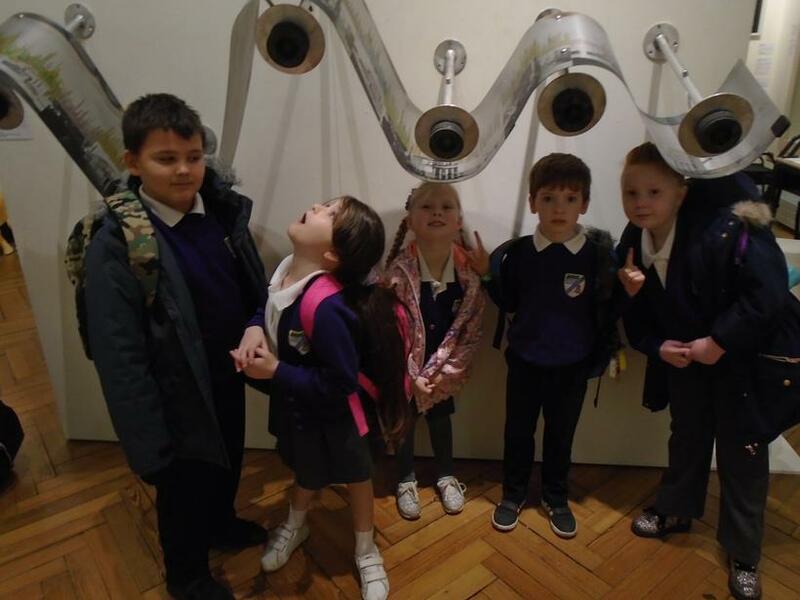 We will explore how castles have changed over time, exploring the different job roles in castles, creating a moving mechanism in D&T and creating a painting in the style of Paul Klee. 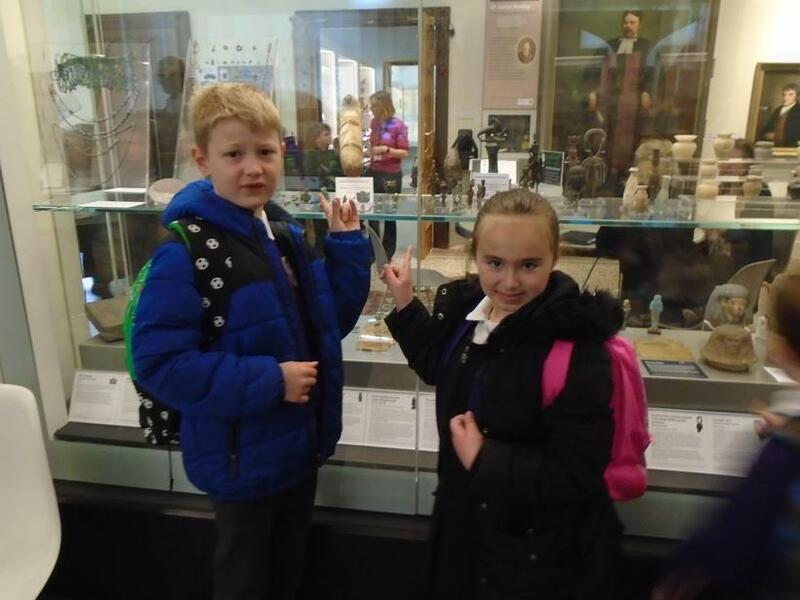 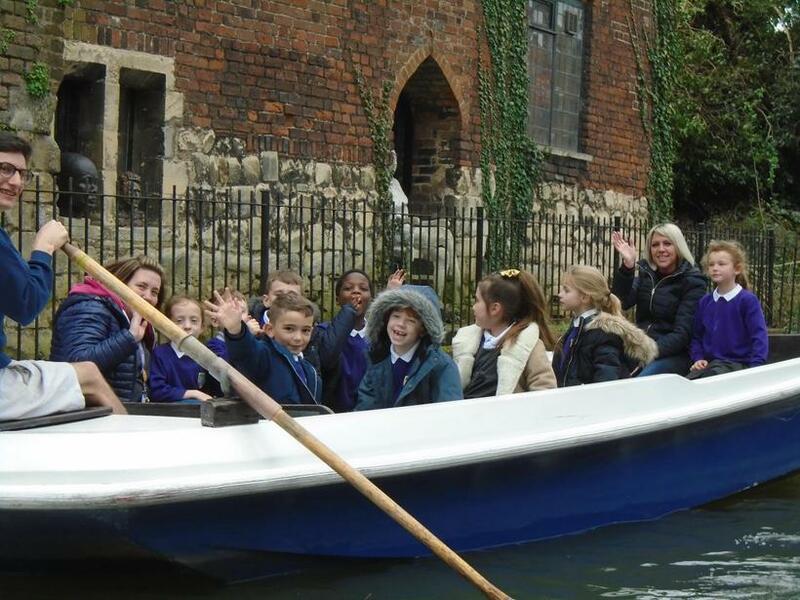 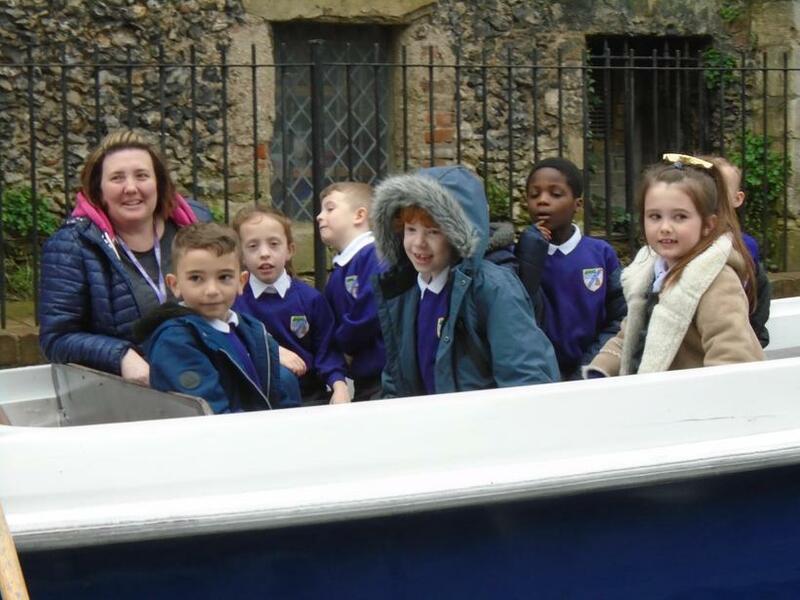 Wednesday 20th March 2019 - Trip to Canterbury! 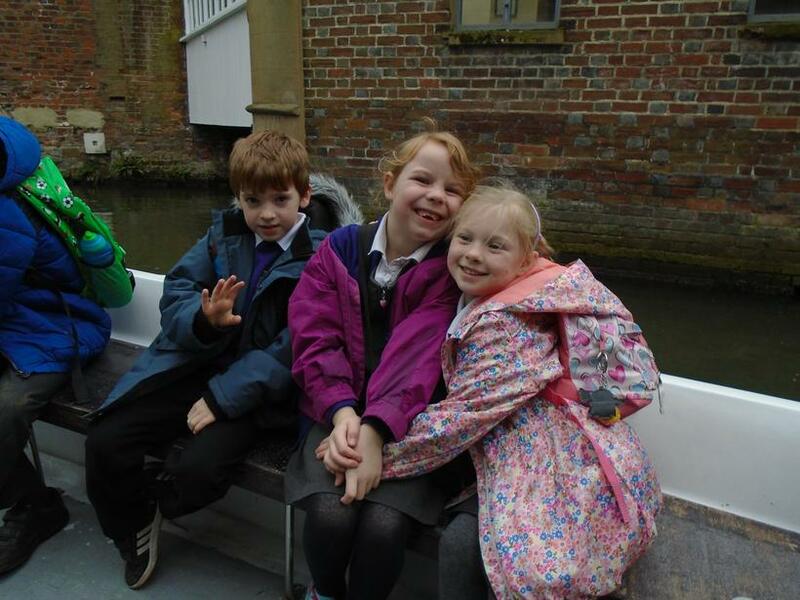 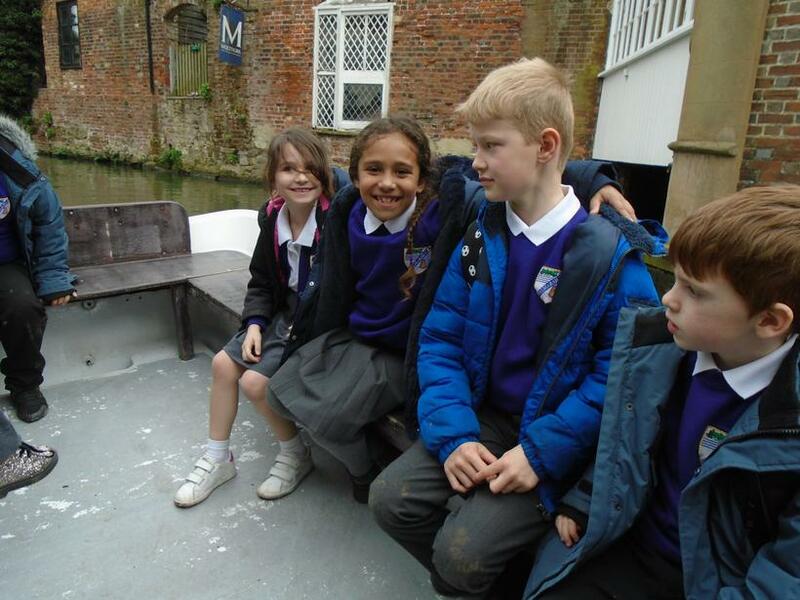 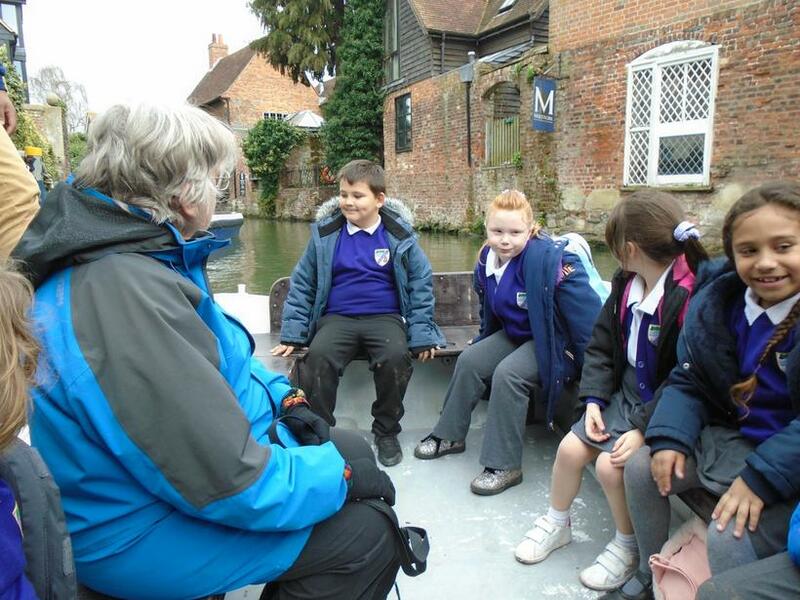 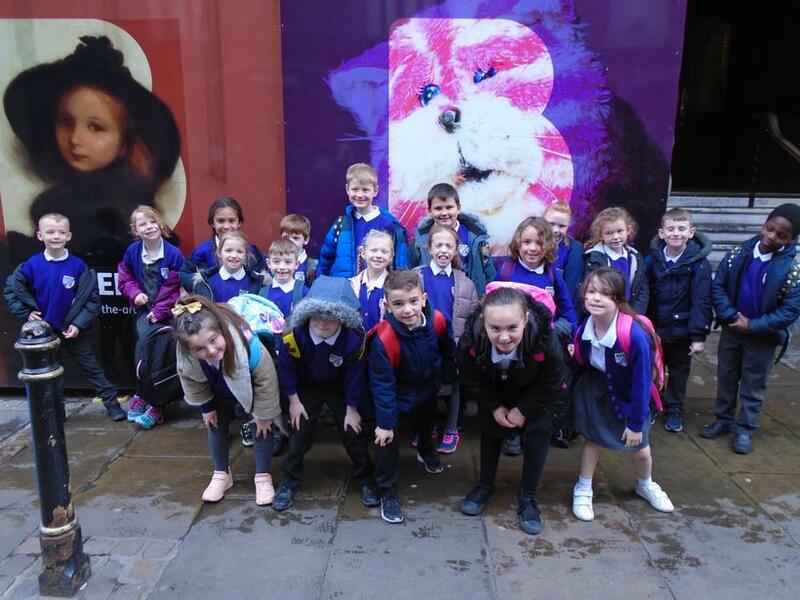 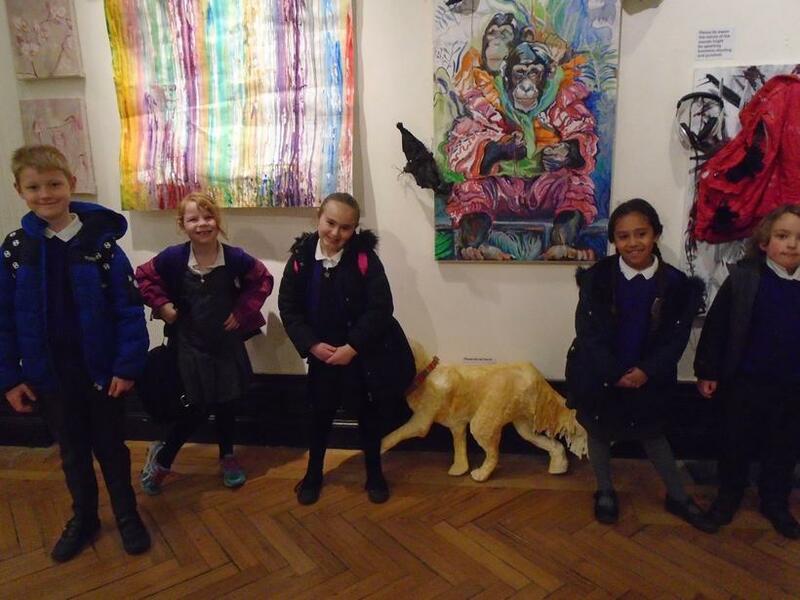 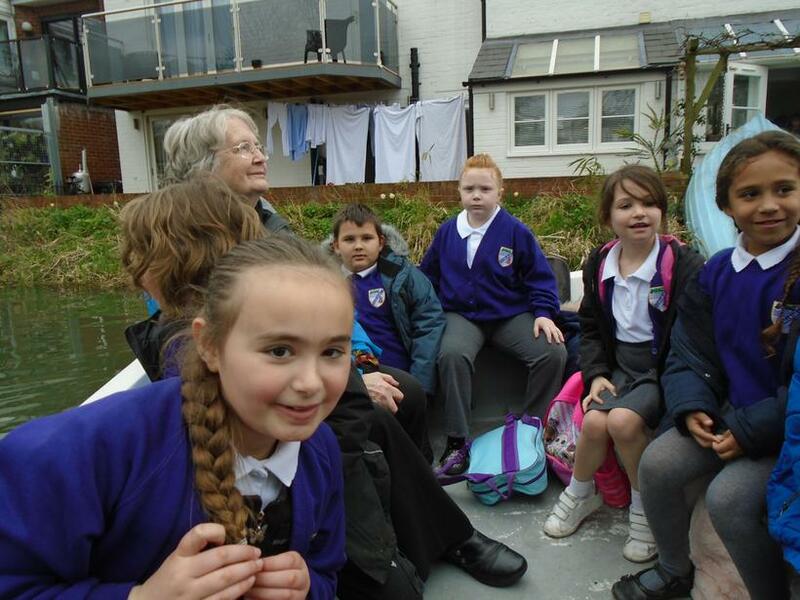 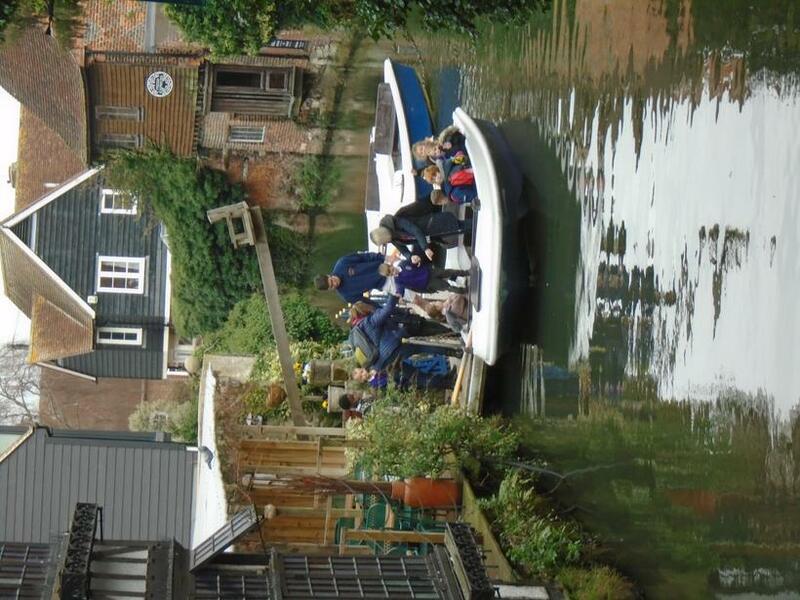 We saw art work at the Beany and went on a river boat trip! 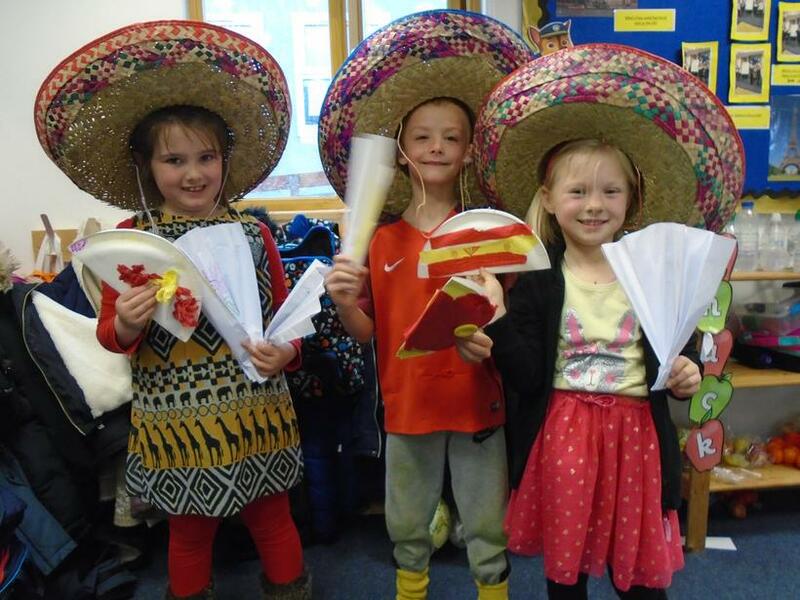 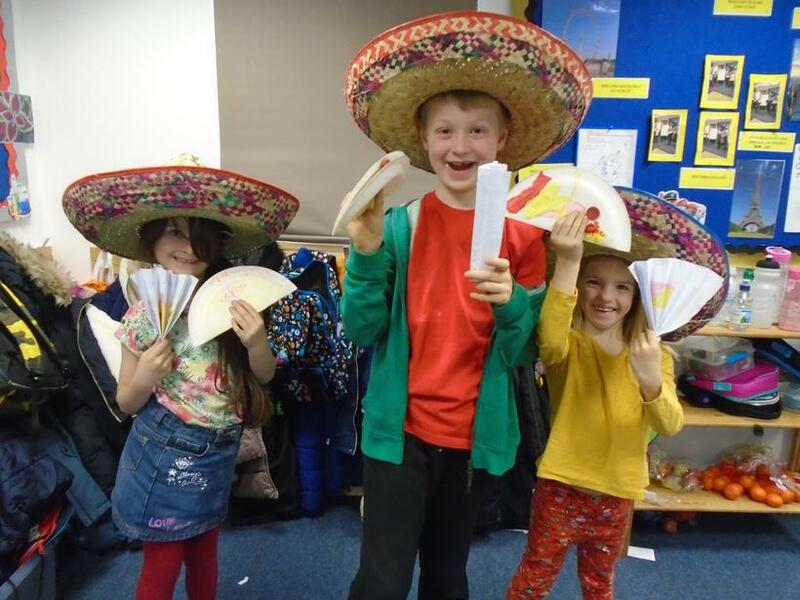 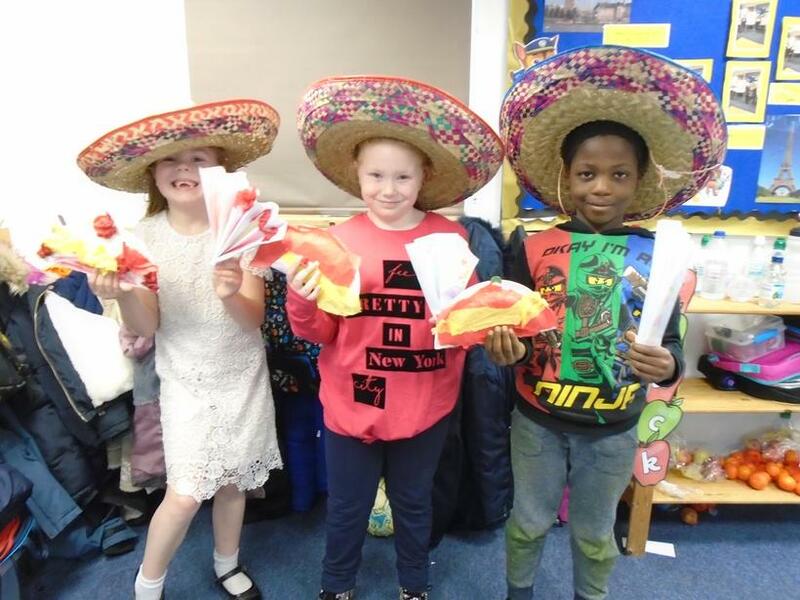 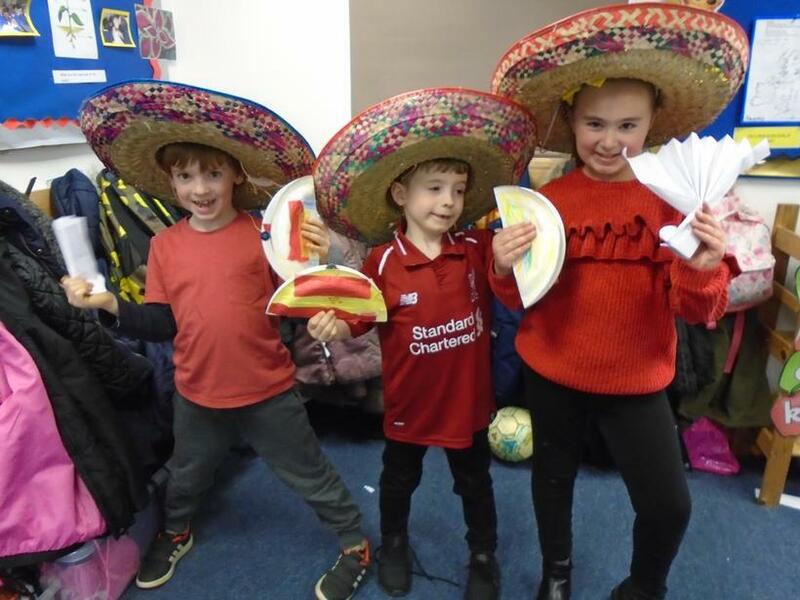 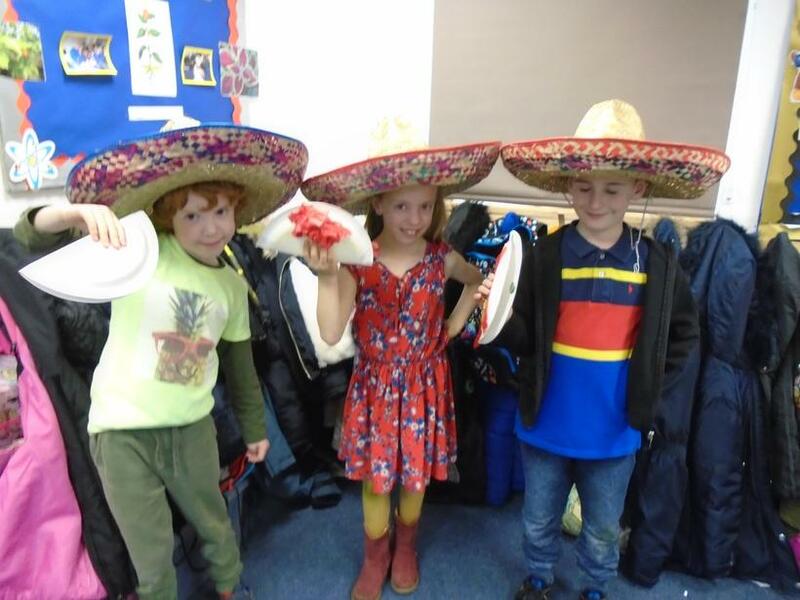 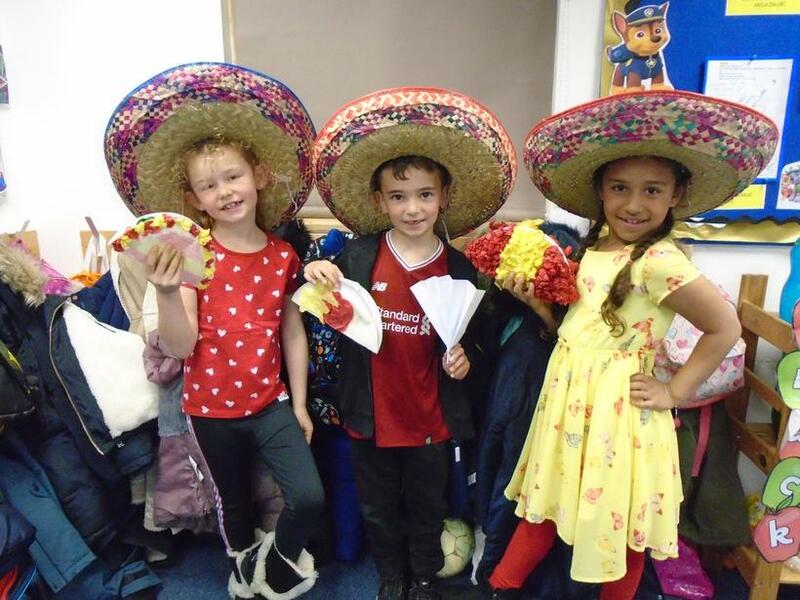 Martes 2 Abril 2019 - Spanish Day! 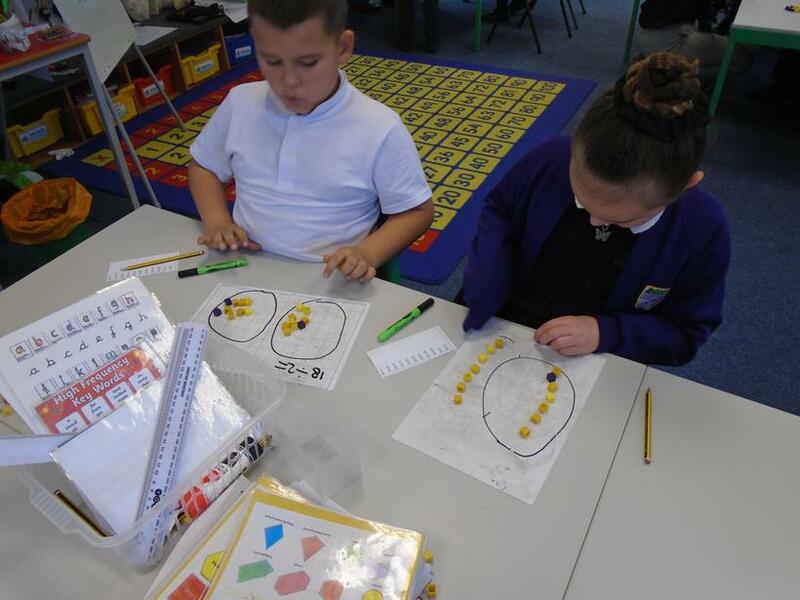 Look at our excellent homework! 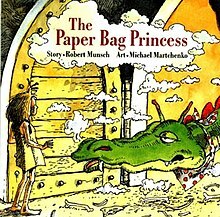 This term in English we will be reading The Paper Bag Princess. 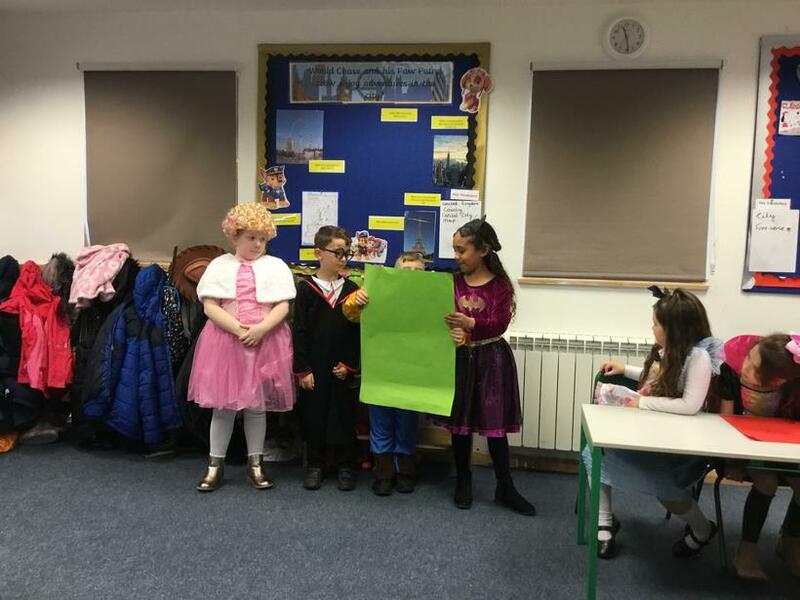 We will be looking at predicting the story, the different roles of the characters and using apostrophes for possession. 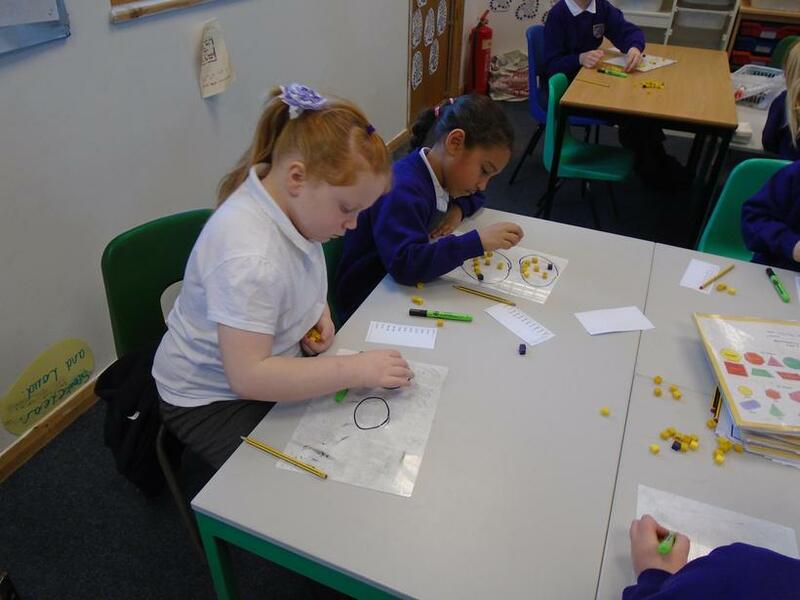 Over the next couple of weeks we will be building up to writing our own Fairy Tale stories. 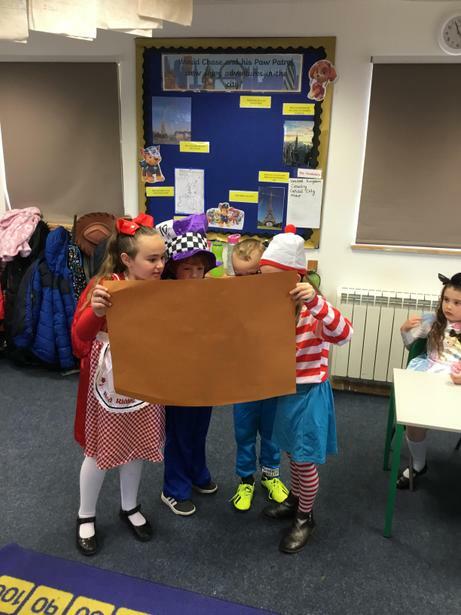 World Book Day 7th March - We read the story Paddington and created a guide on how to look after him. 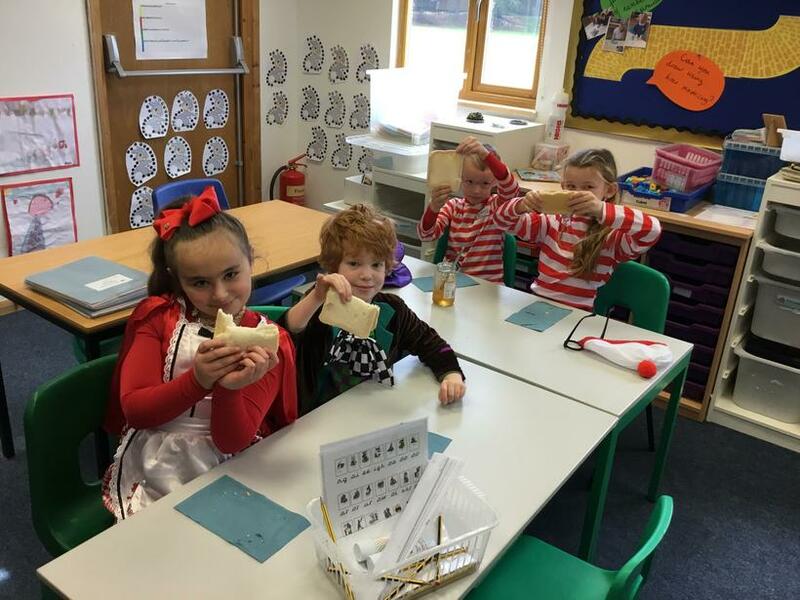 Followed by some yummy marmalade sandwiches. 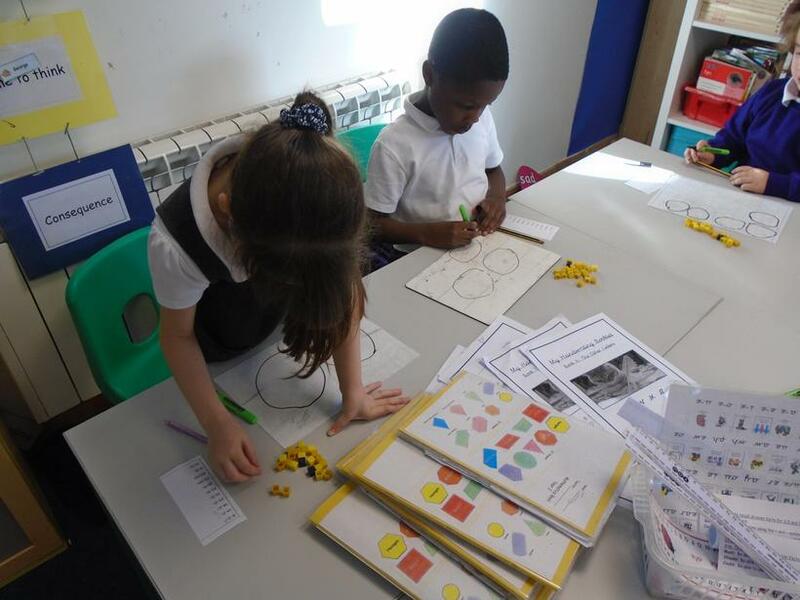 We will have a busy term of maths this term! 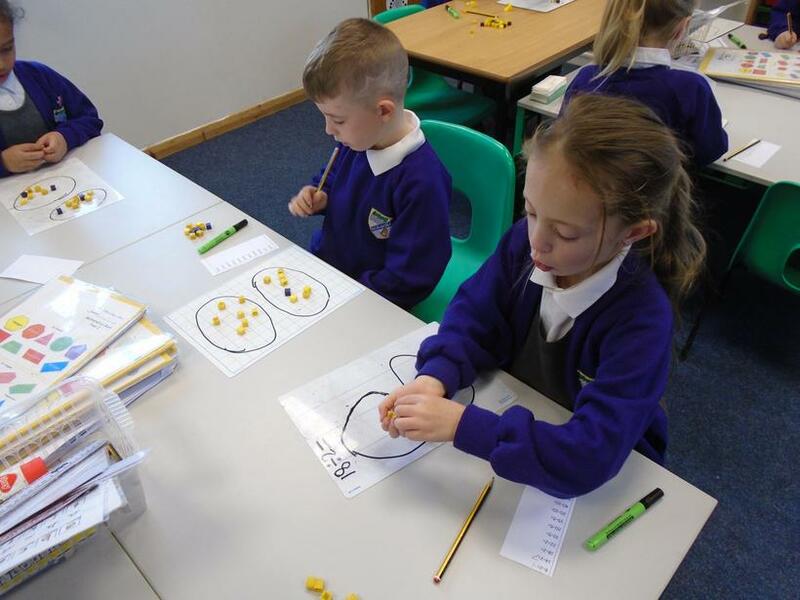 We will be looking at capacity as well as re-capping on all of the operations; addition, subtraction, dividing and multiplication. 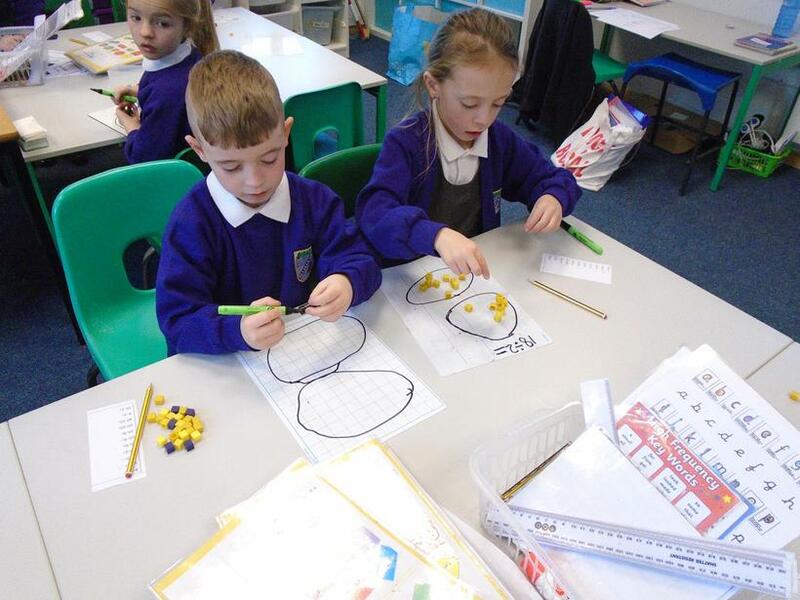 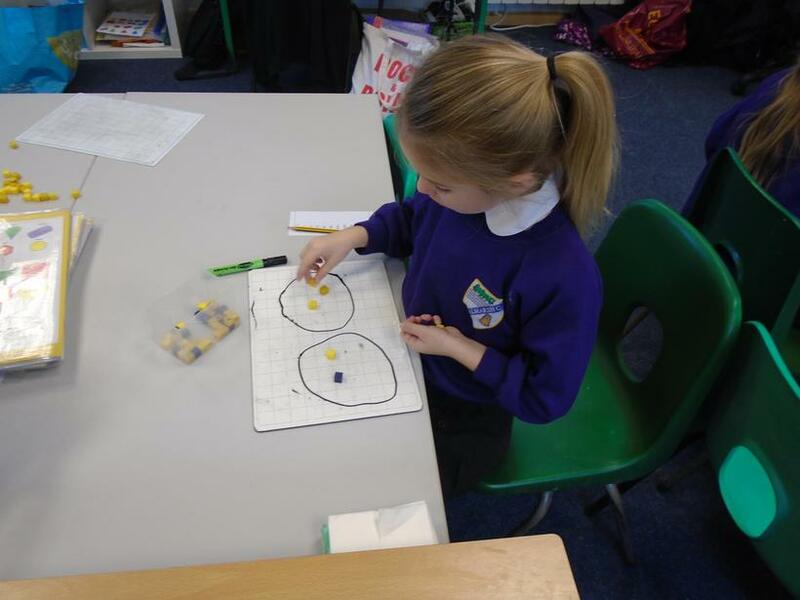 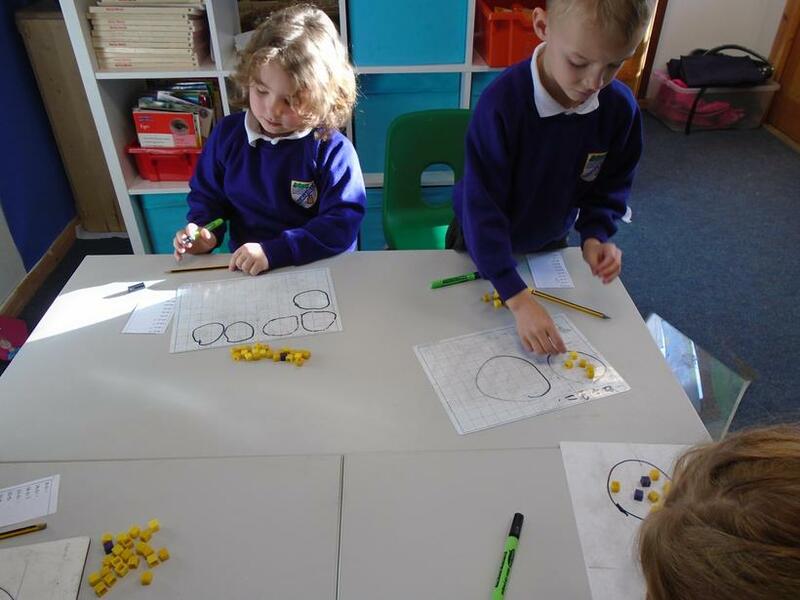 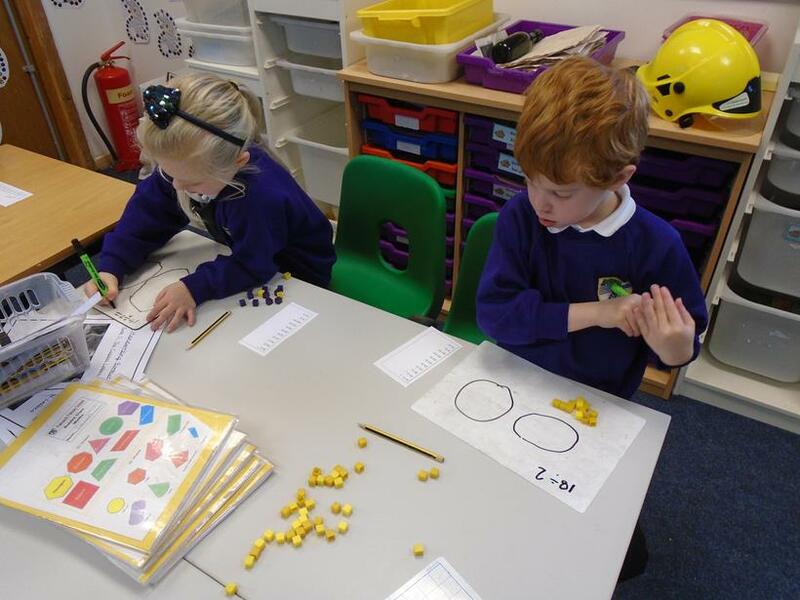 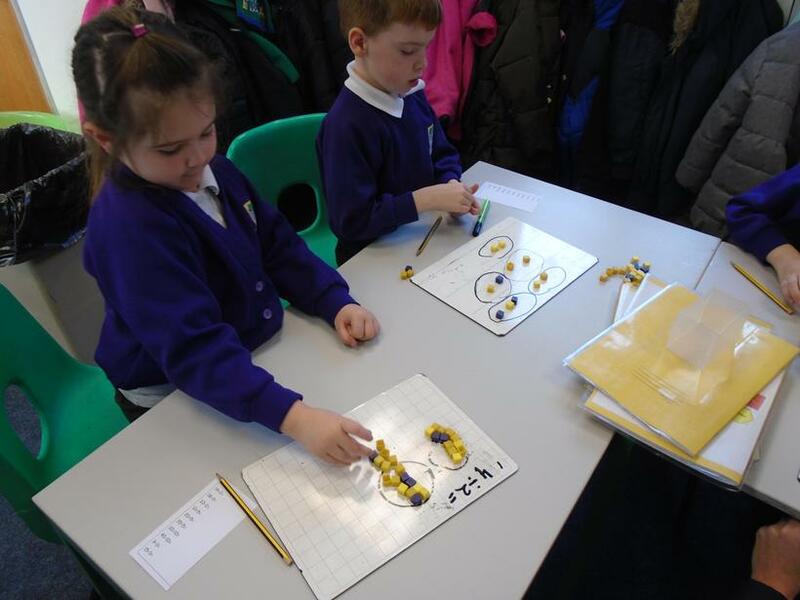 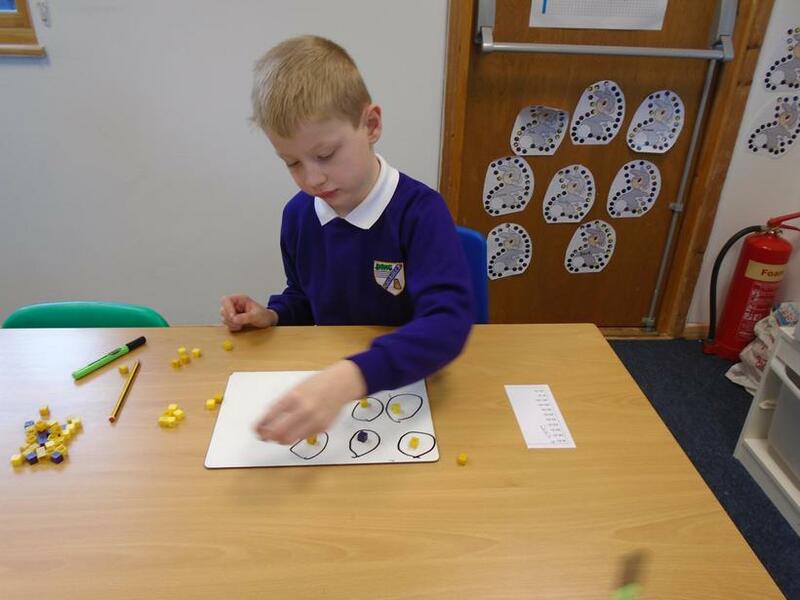 22.01.19 - This week in maths we are looking at divison! 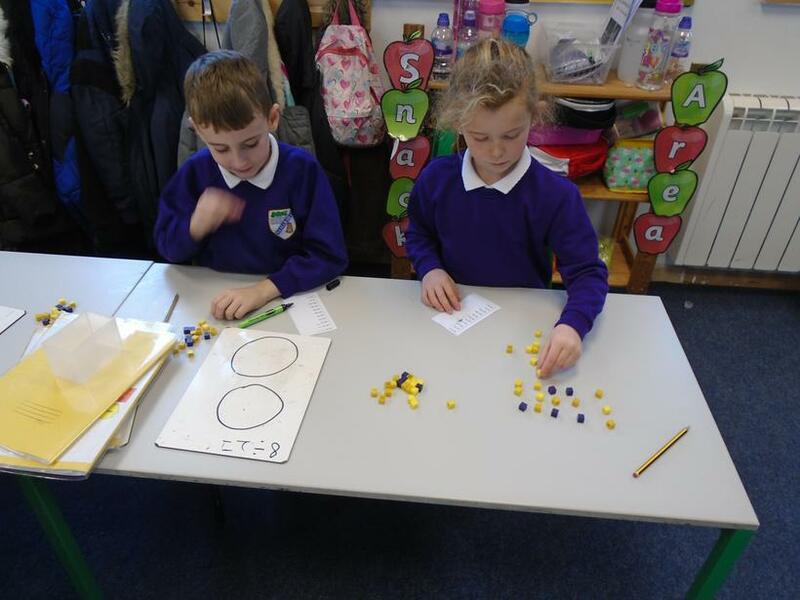 Look at our sharing practise. 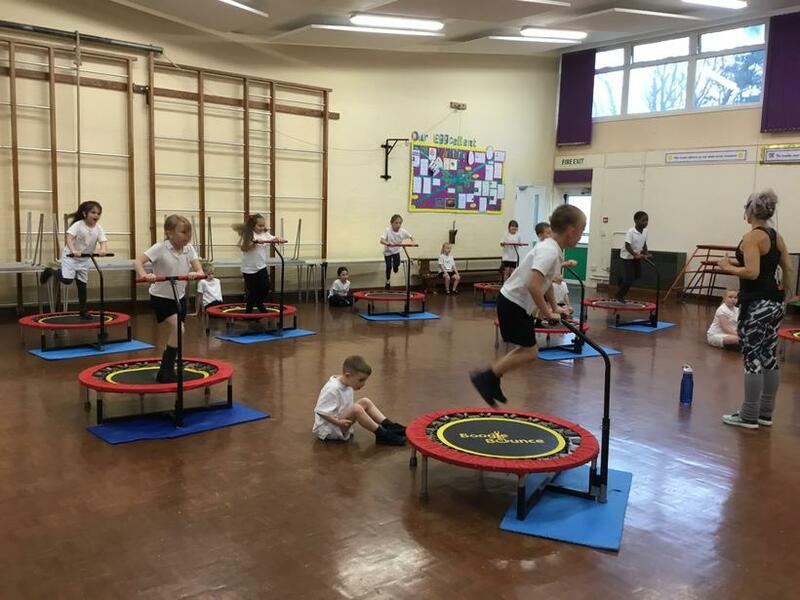 PE this term will be every Monday morning and Friday afternoon. 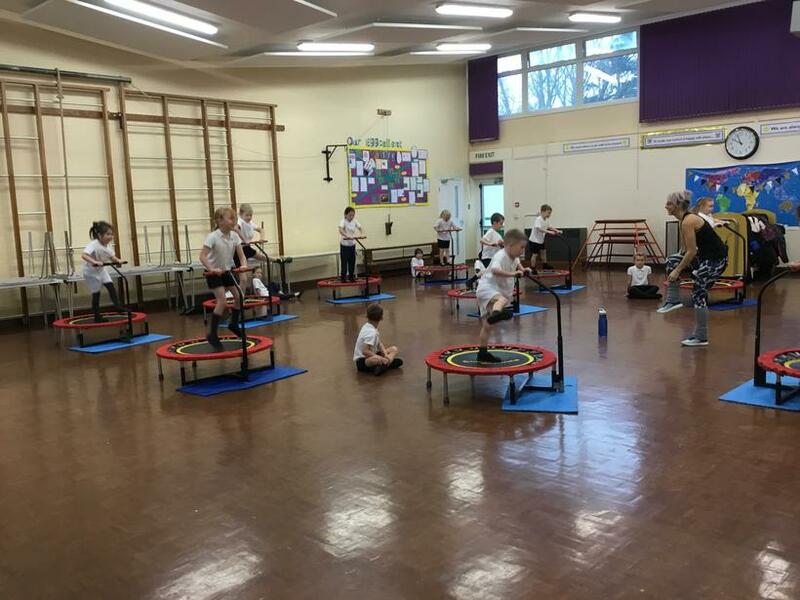 We are lucky enough to have a tennis coach come and teach us new tennis skills every Monday morning. 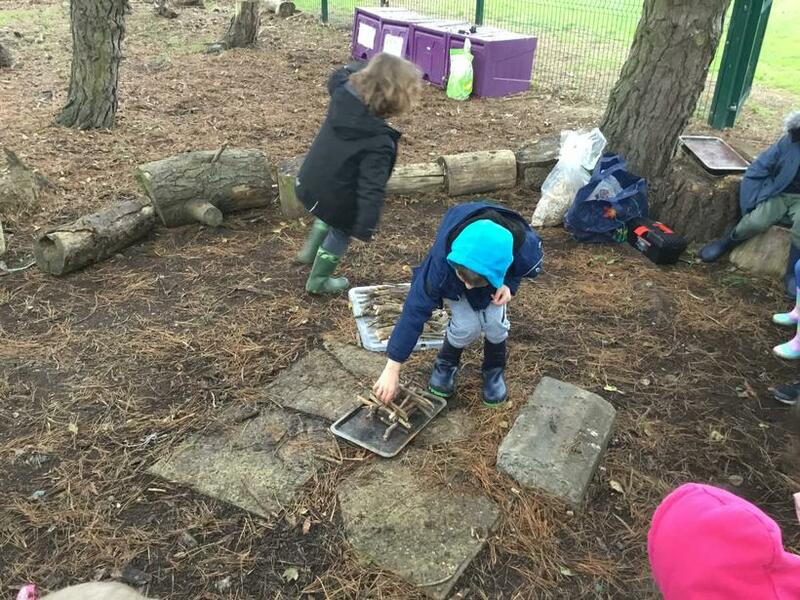 On Friday afternoons we will be playing cricket. 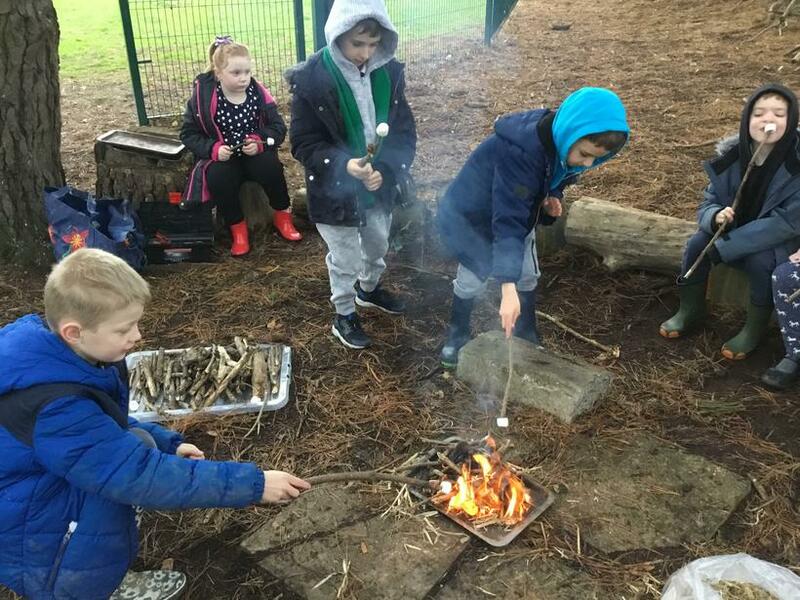 Both tennis and cricket will be played outside as often as possible. 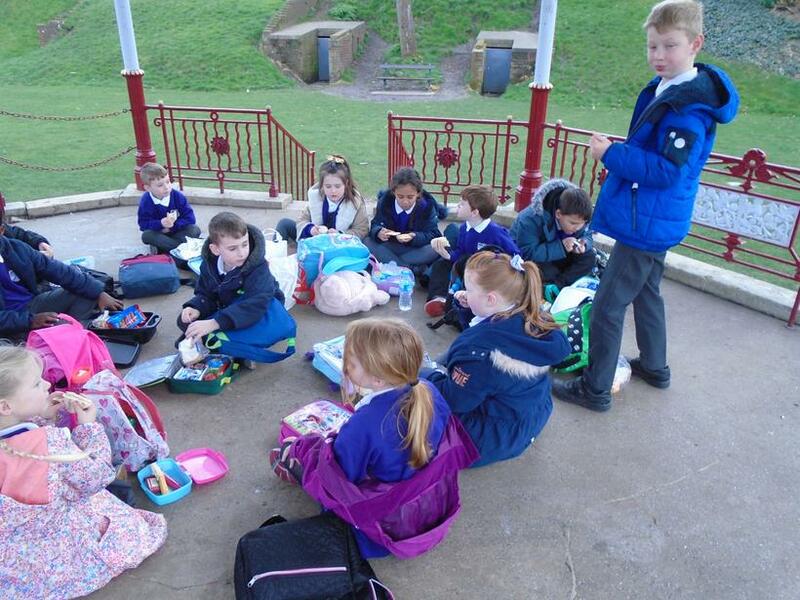 Please can all children have their PE kit in school at all times clearly labelled. 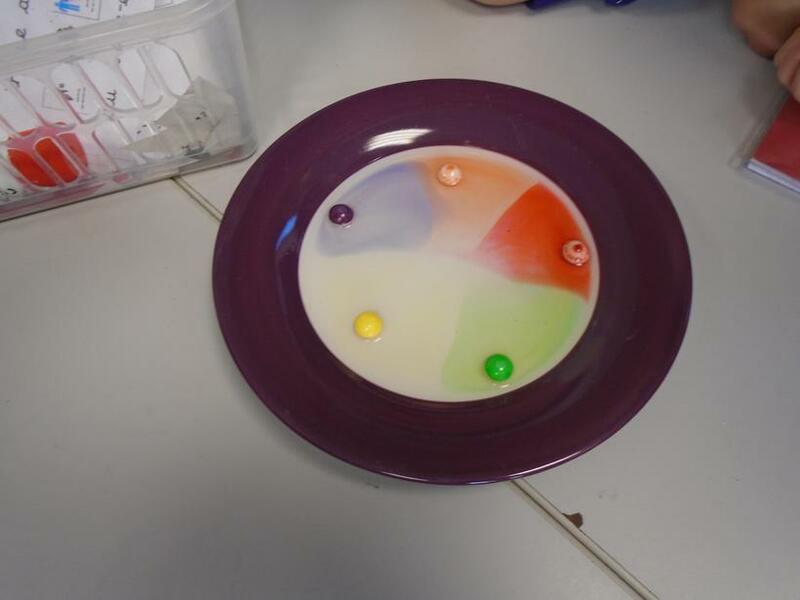 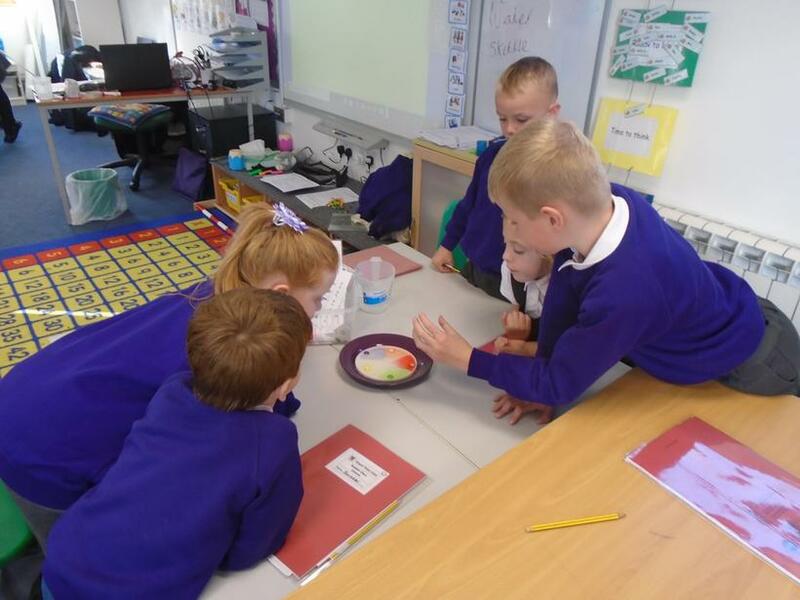 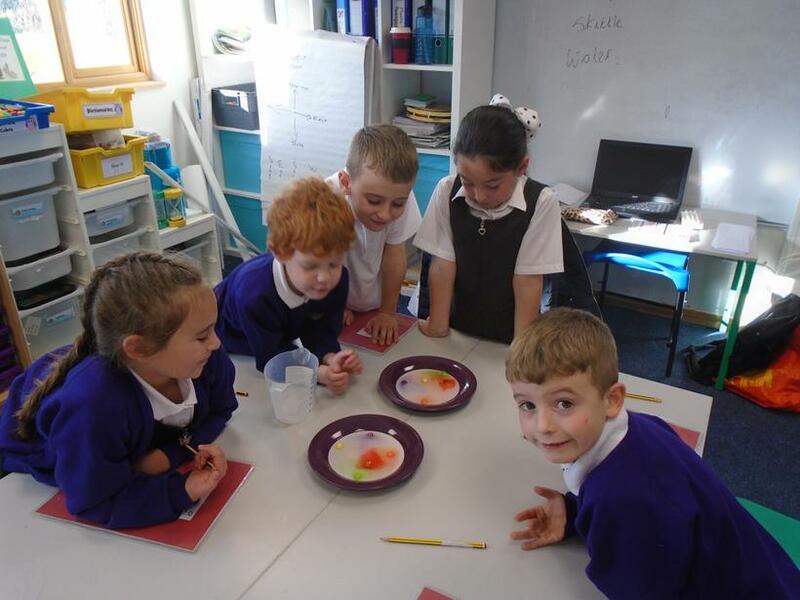 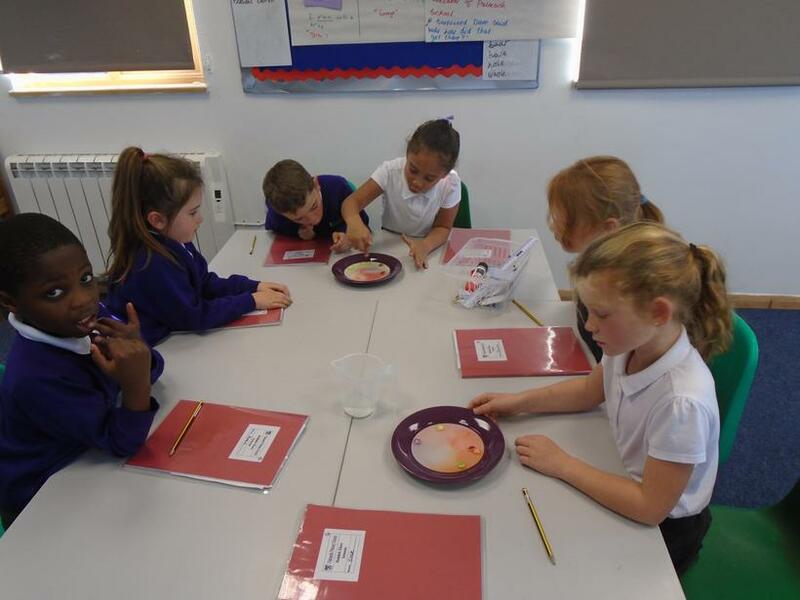 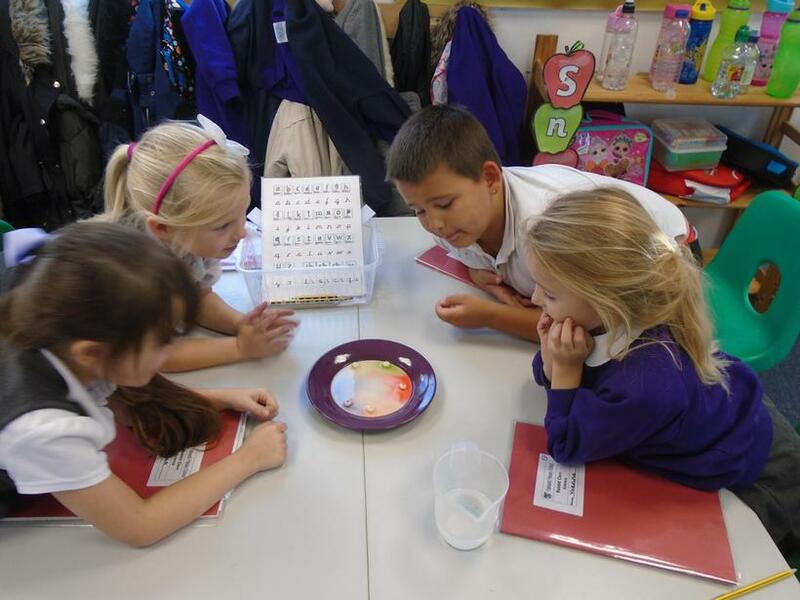 Look at our exciting science experiment. 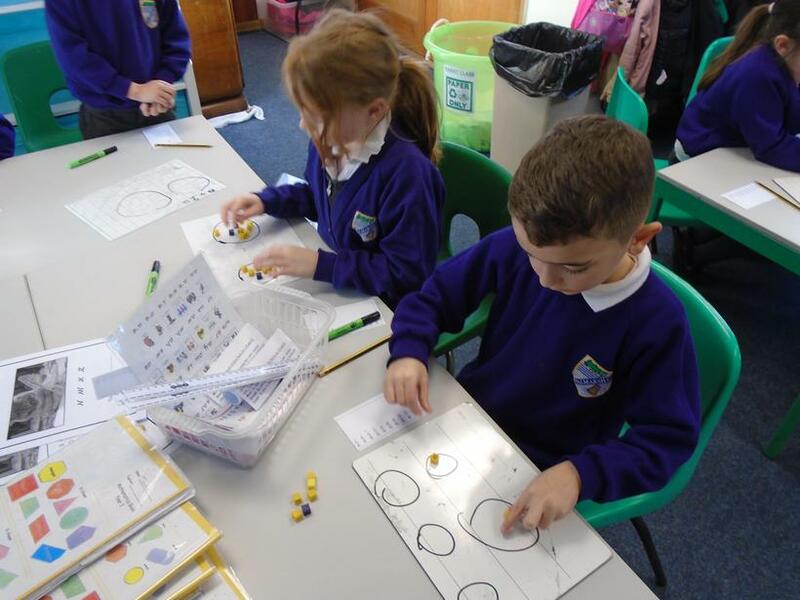 We had to predict then write up what we saw. 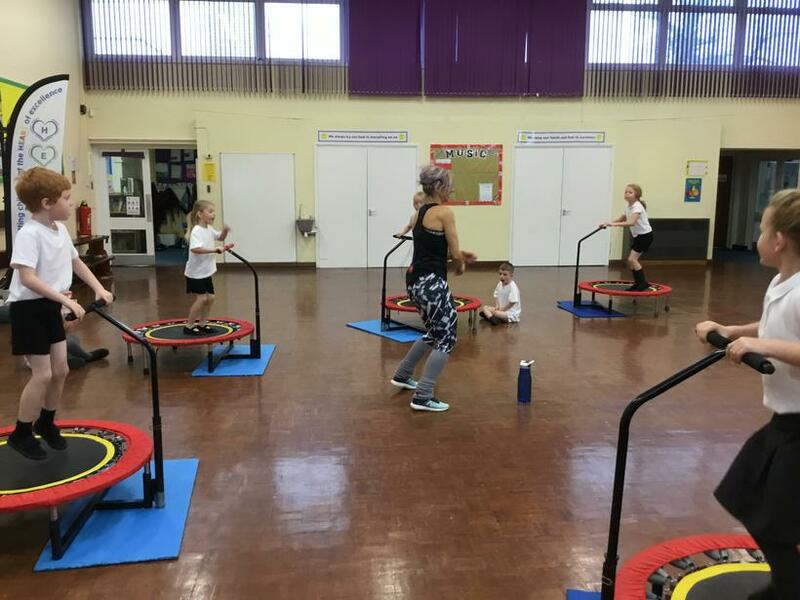 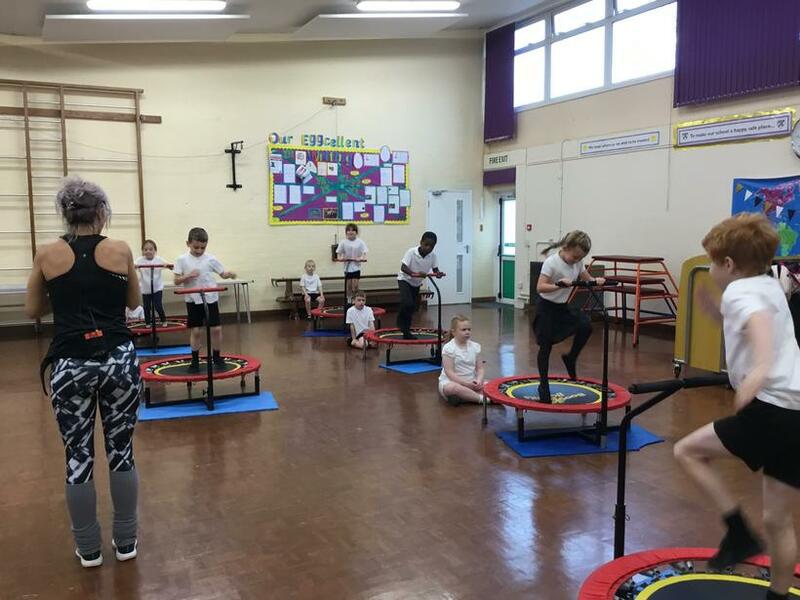 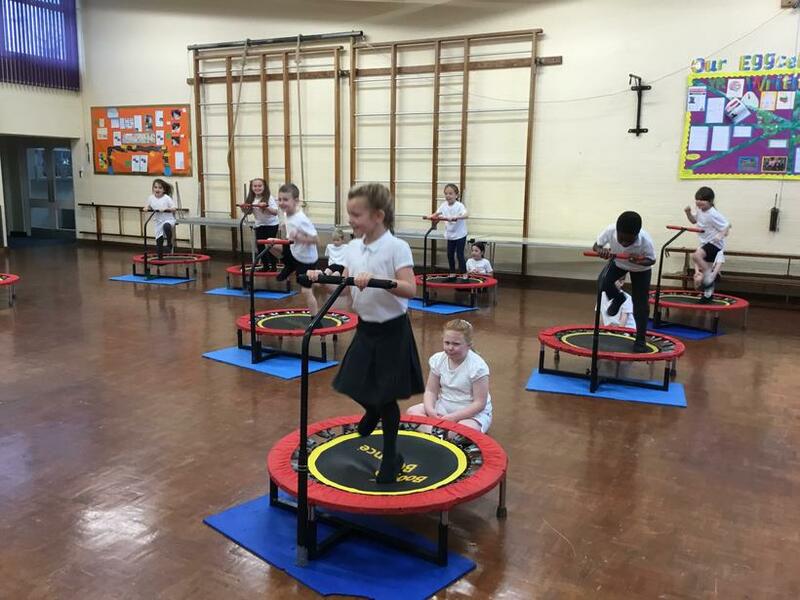 Monday 19th November - Boogie bounce! 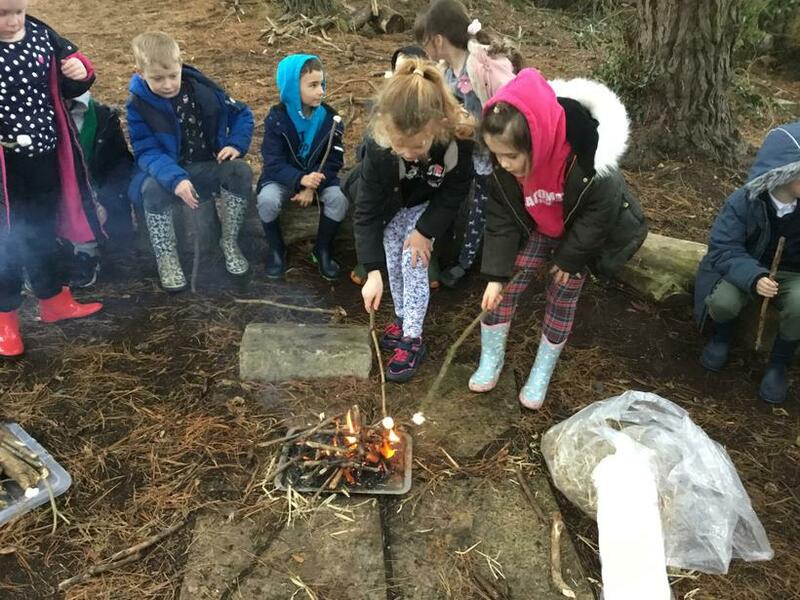 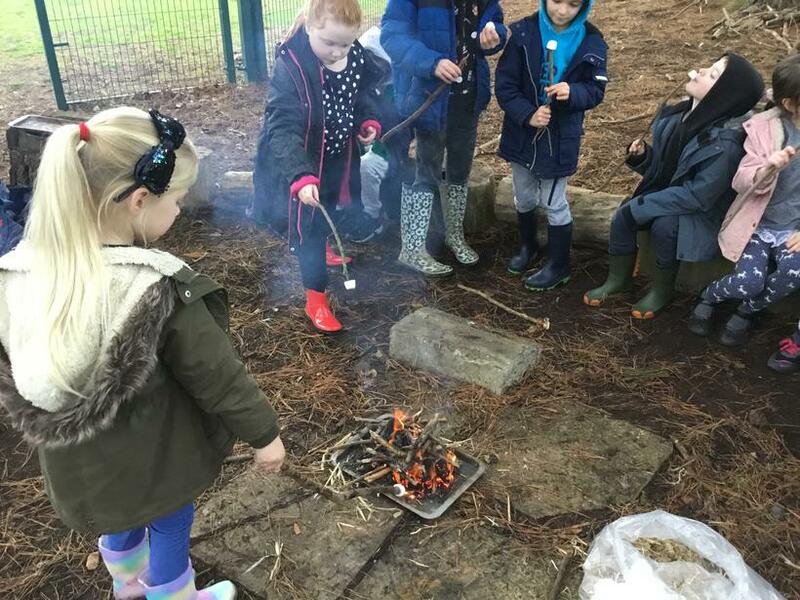 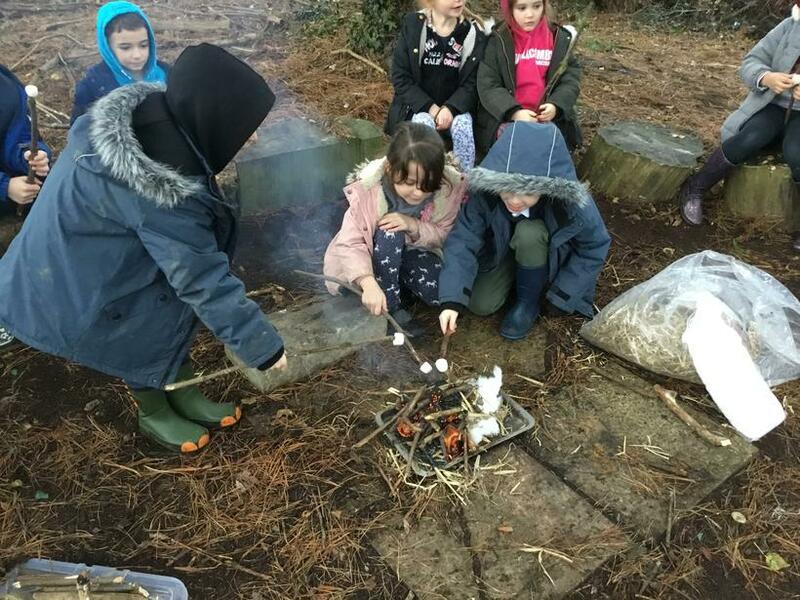 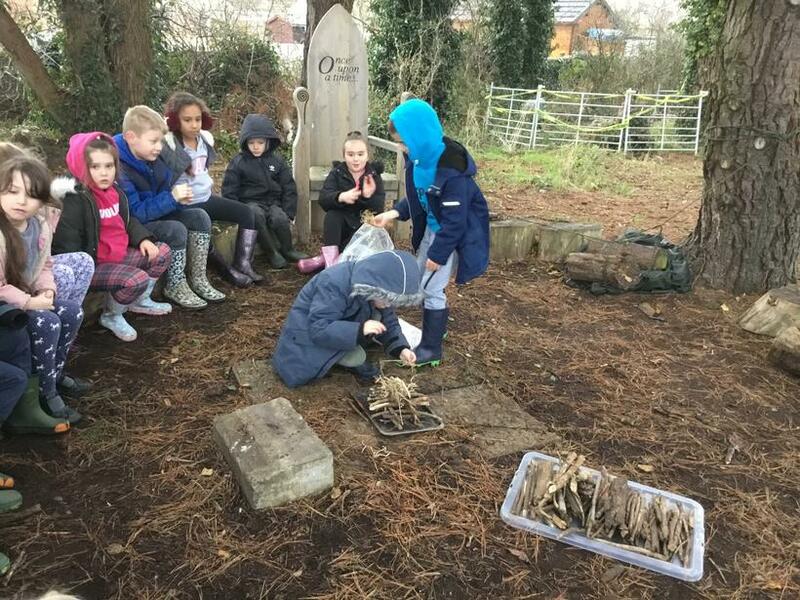 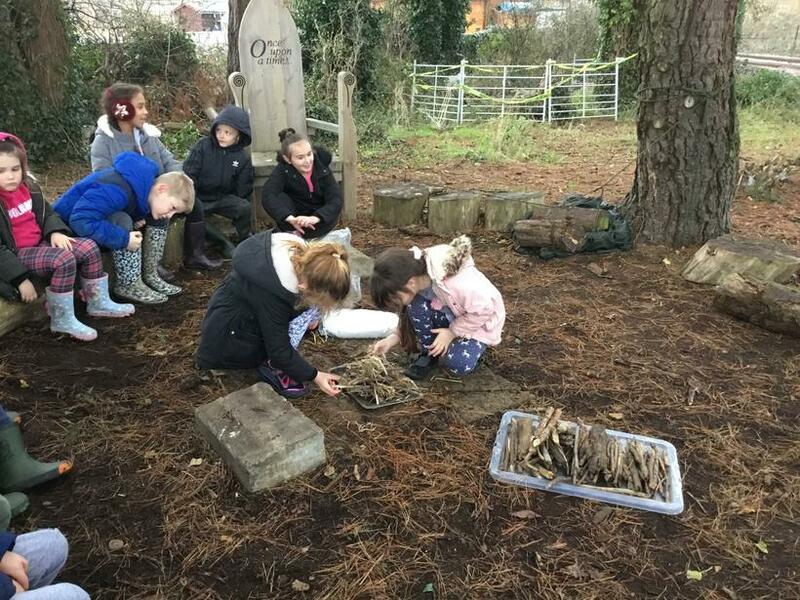 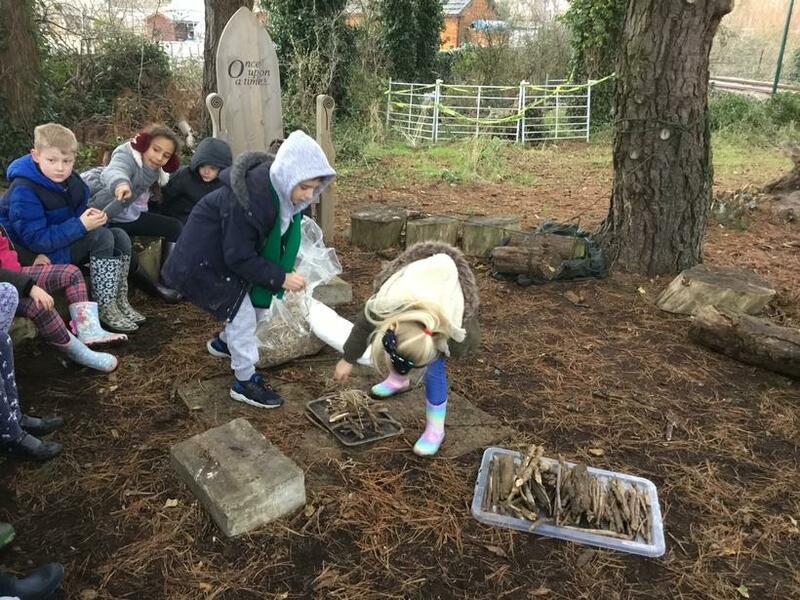 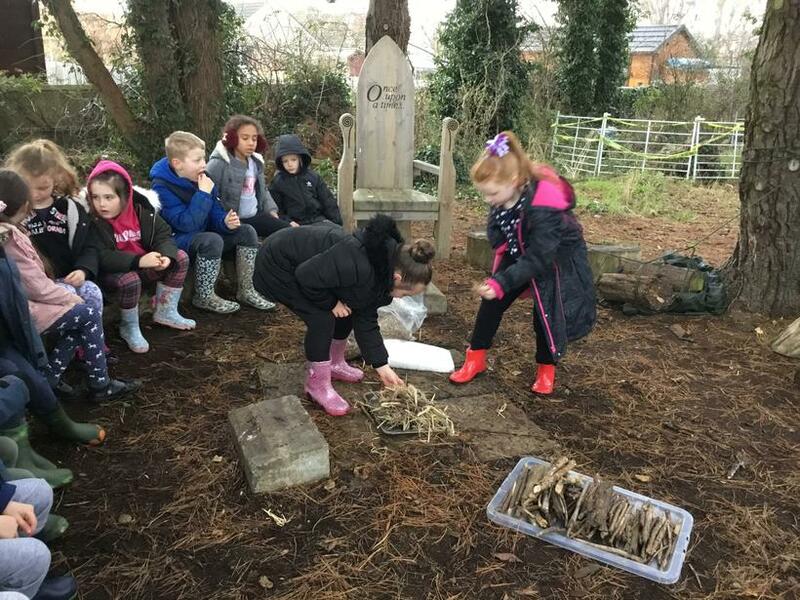 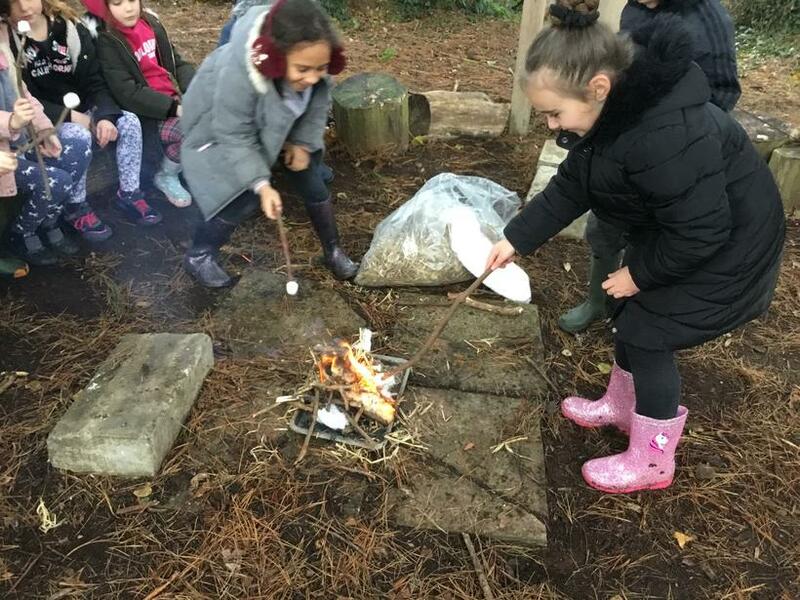 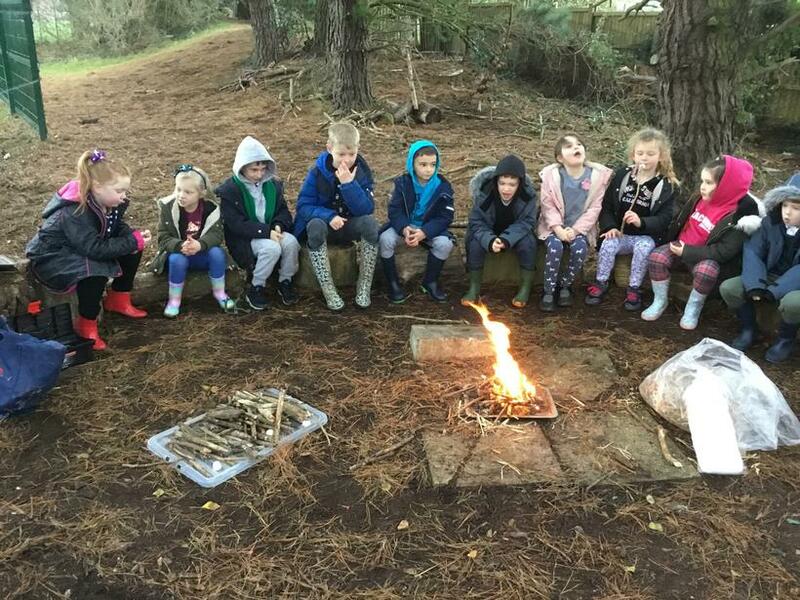 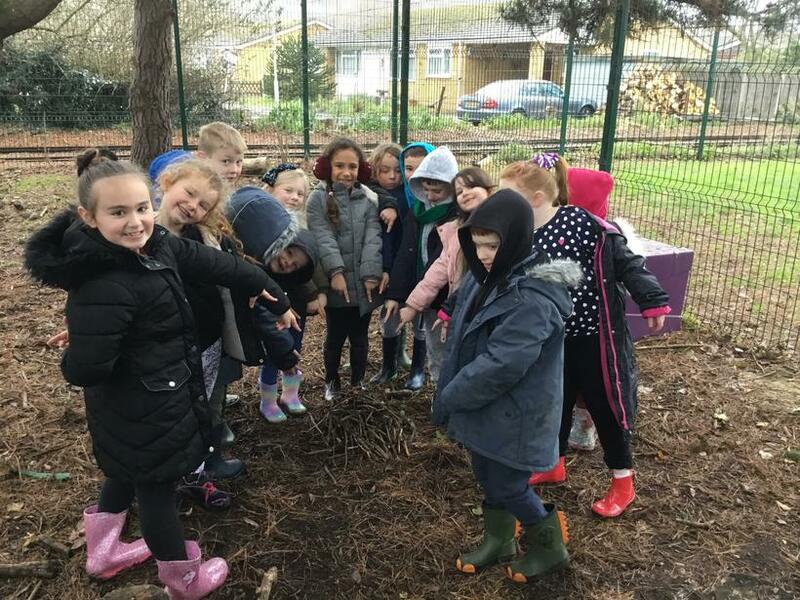 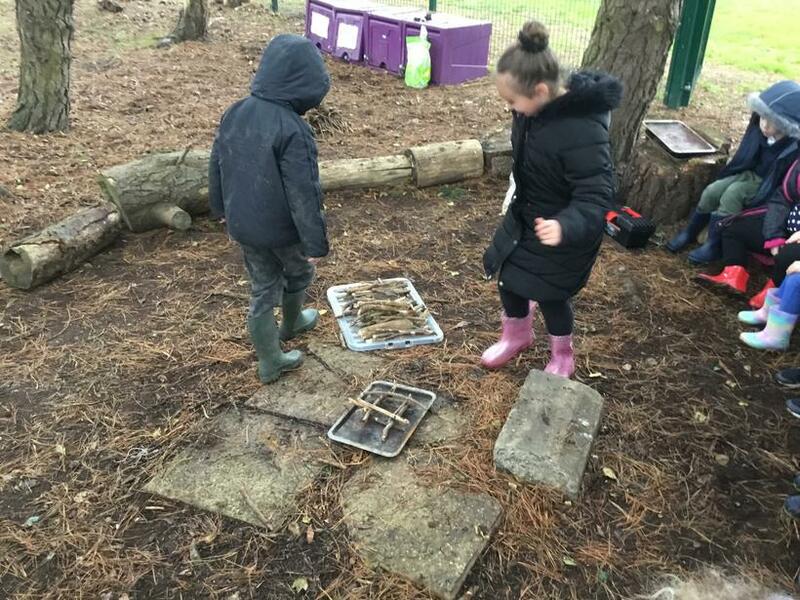 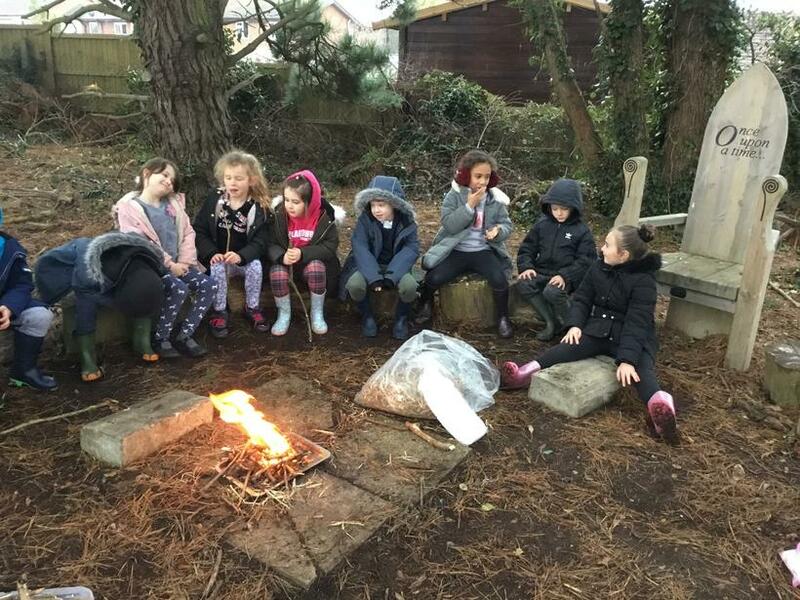 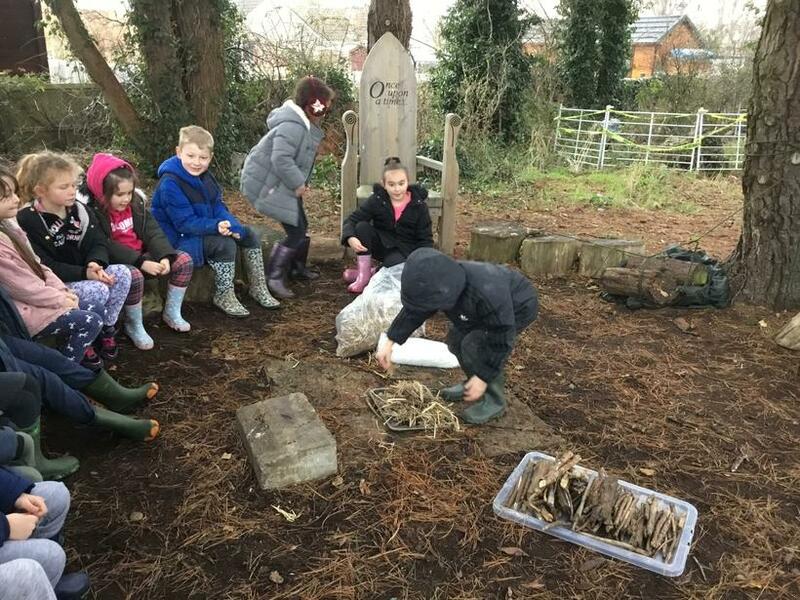 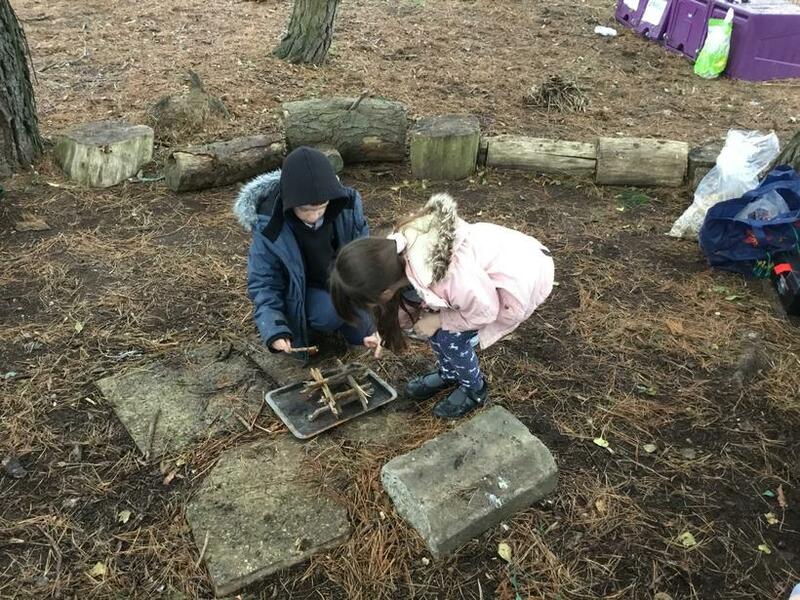 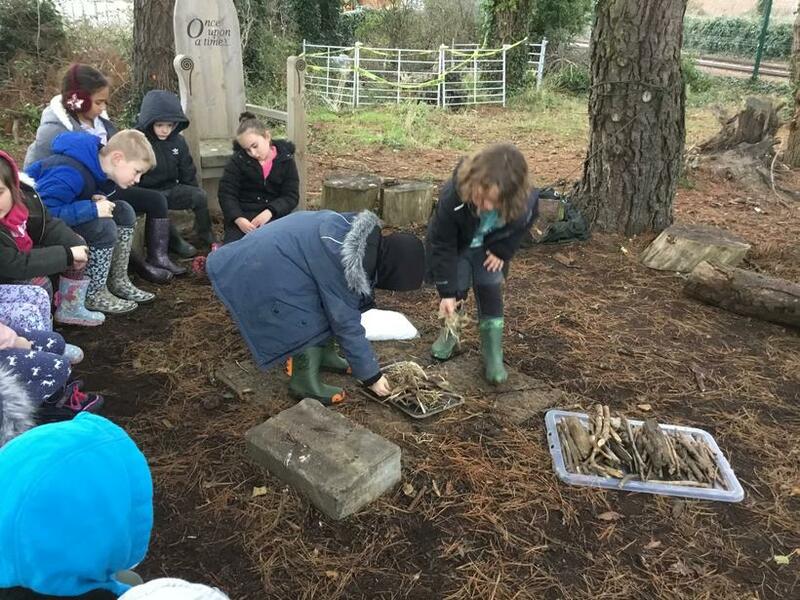 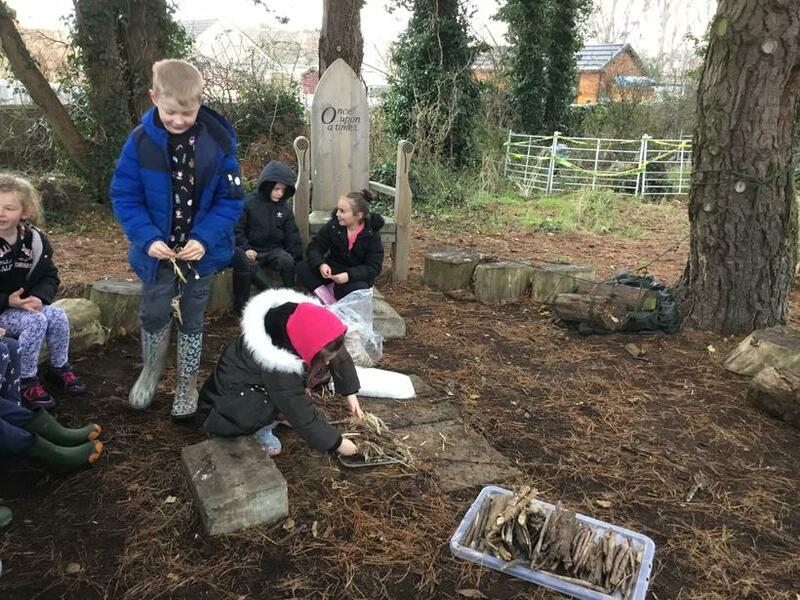 Thursday 24th January 2019 - Building fires in Forest School!